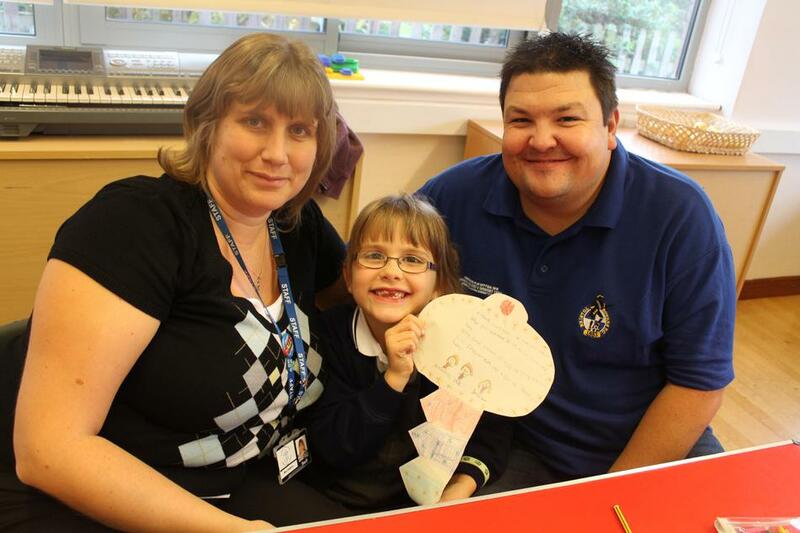 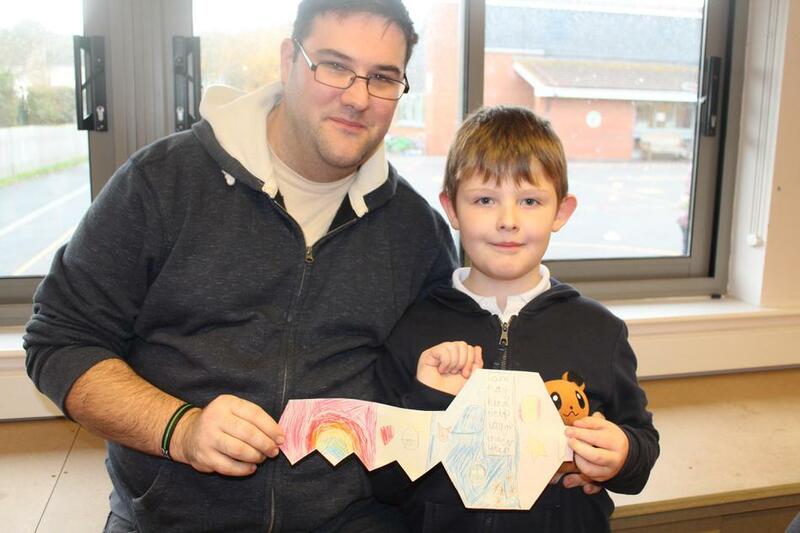 At St Mark’s we have been running Family SEAL since 2010 for our Year 3 families. 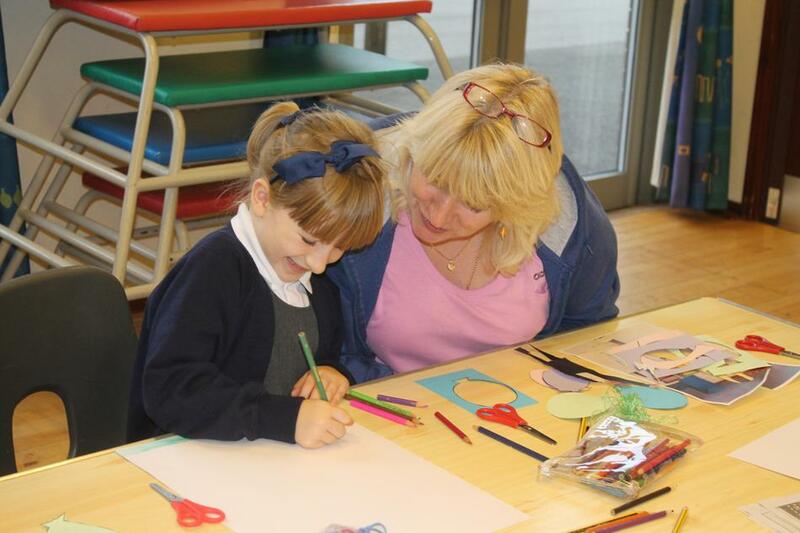 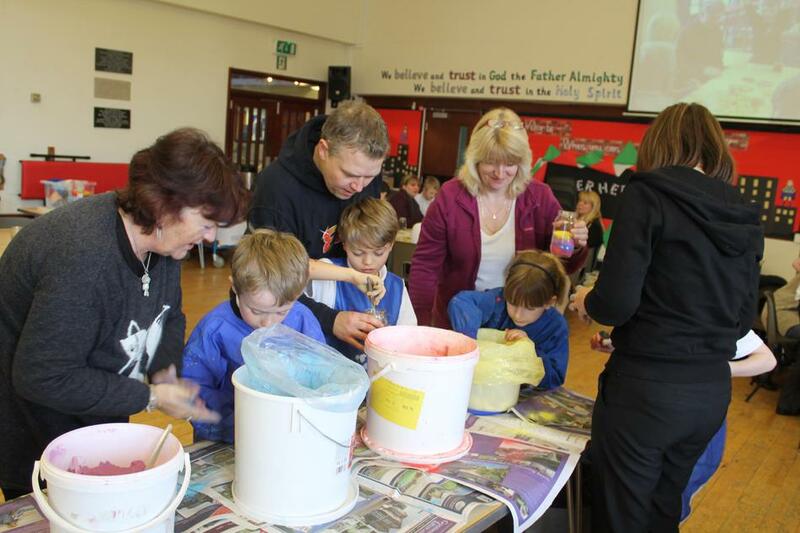 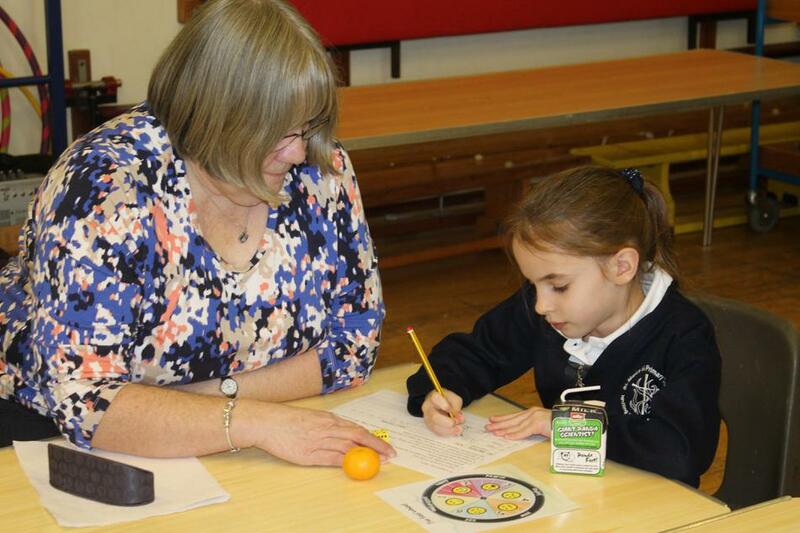 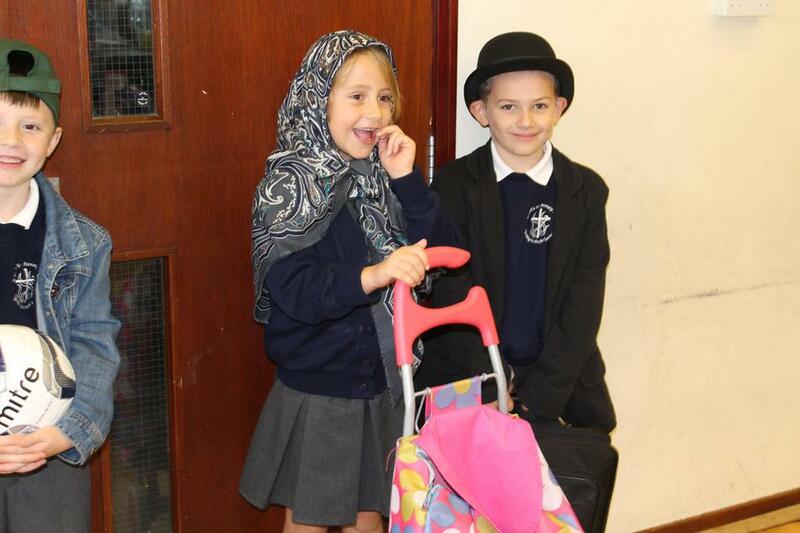 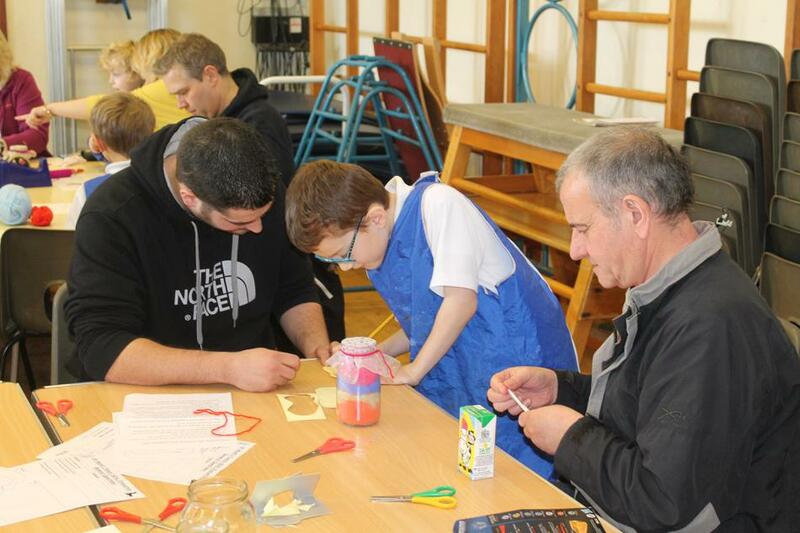 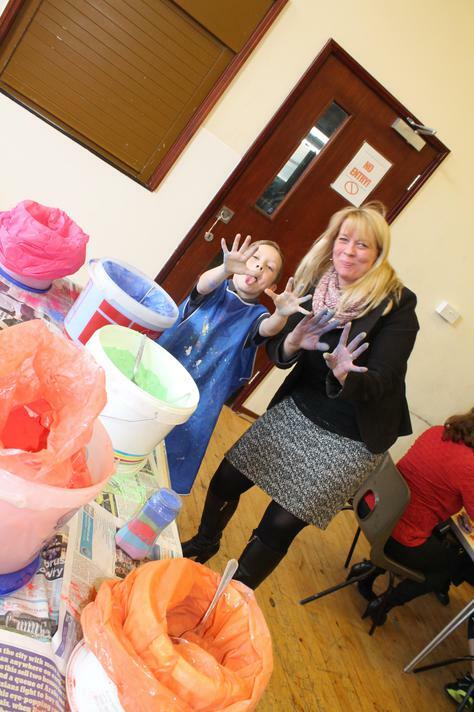 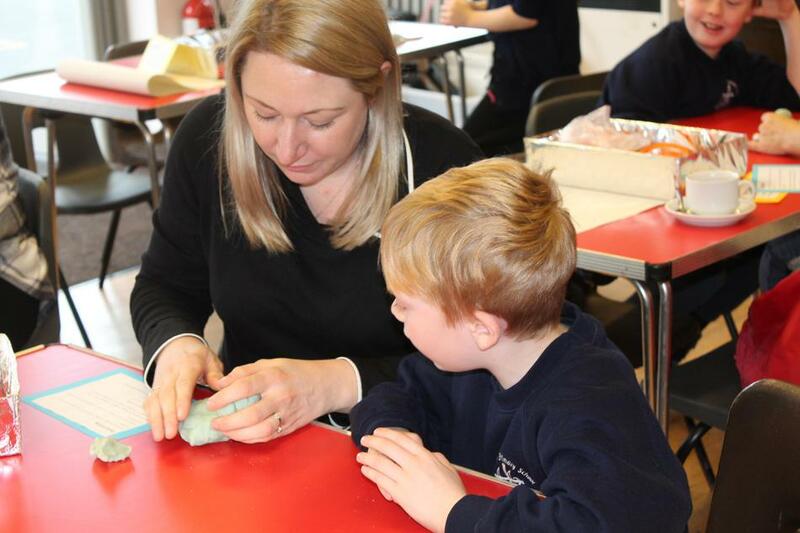 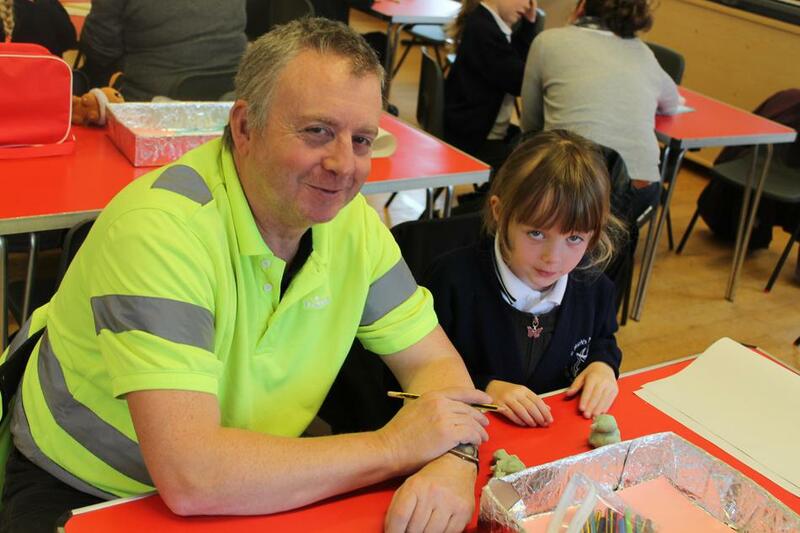 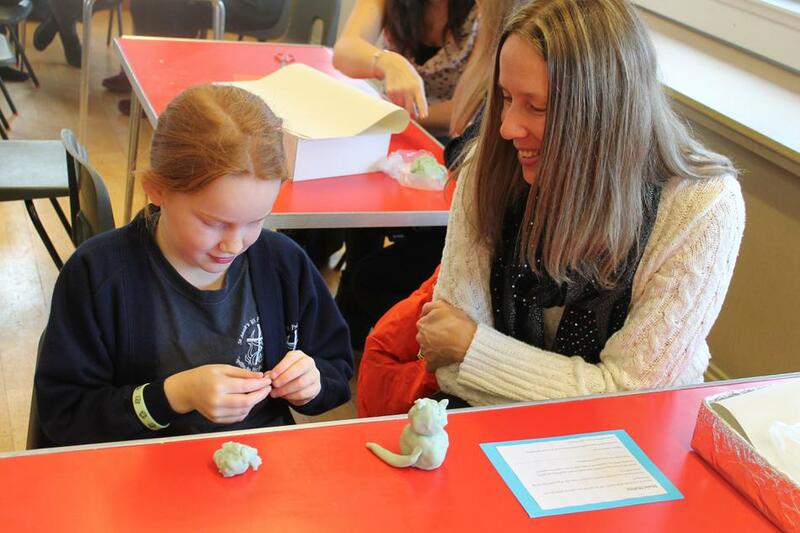 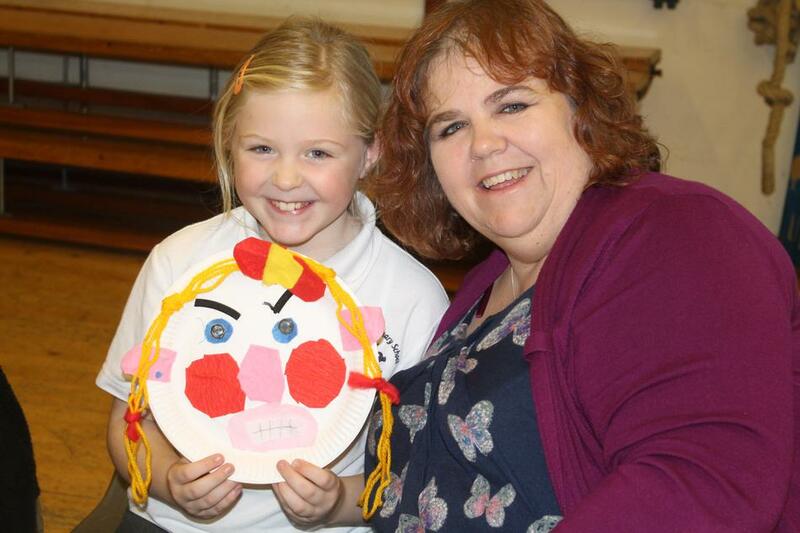 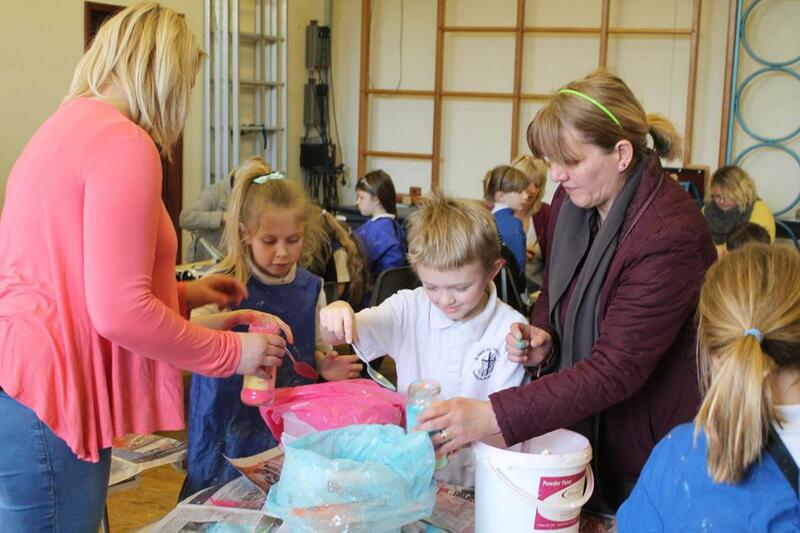 The children really enjoy members of their family coming into school and taking part in a range of activities for six weeks with them. 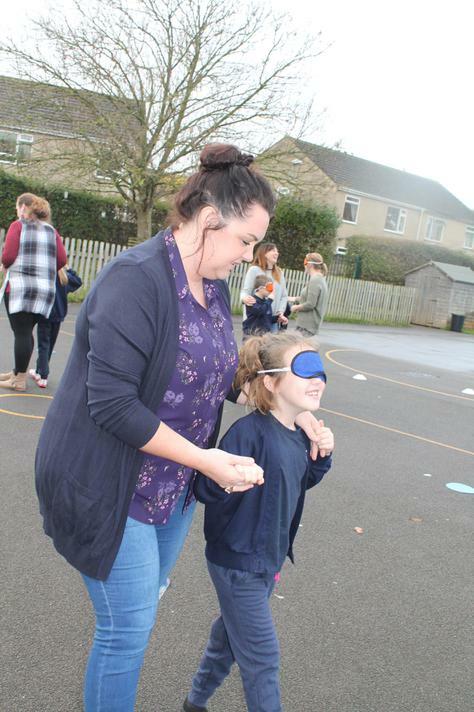 This year, as there was an extremely high percentage of families with older siblings that had already participated in our Family SEAL, we changed the majority of the activities so it would be new to everyone. 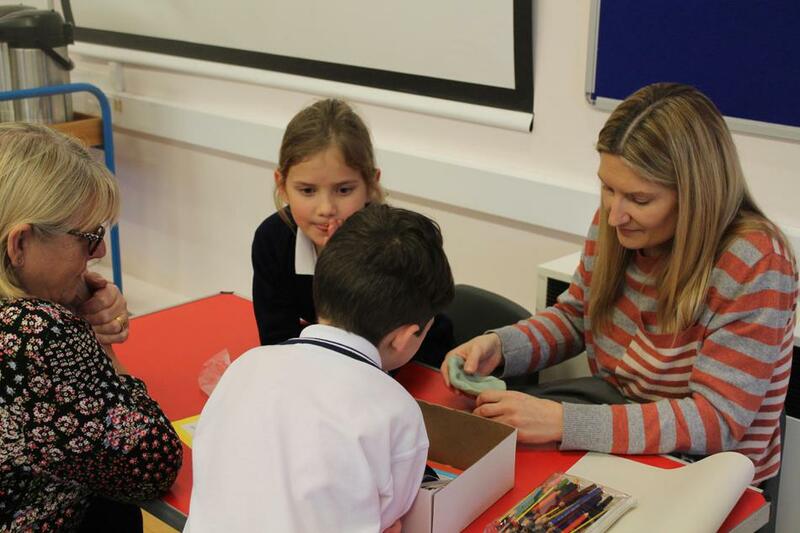 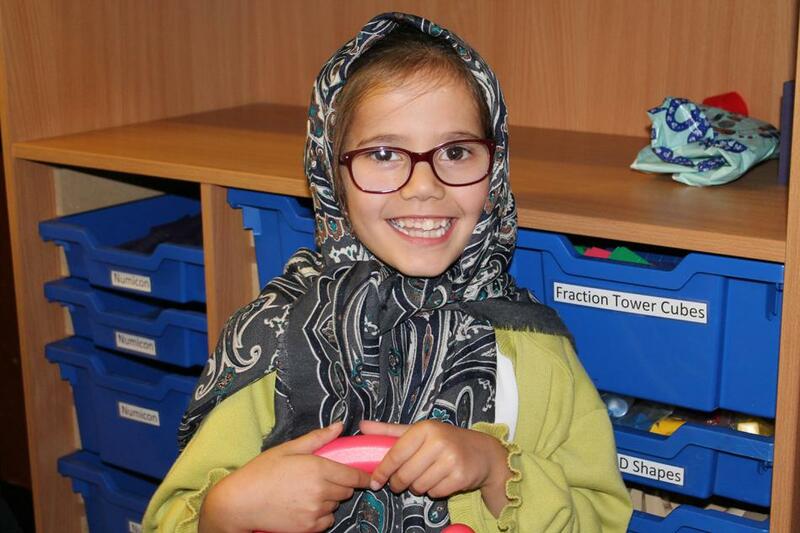 Therefore we decided to focus on our School Values and each week had an activity themed around one of the Values to help the children increase their knowledge and understanding of them. 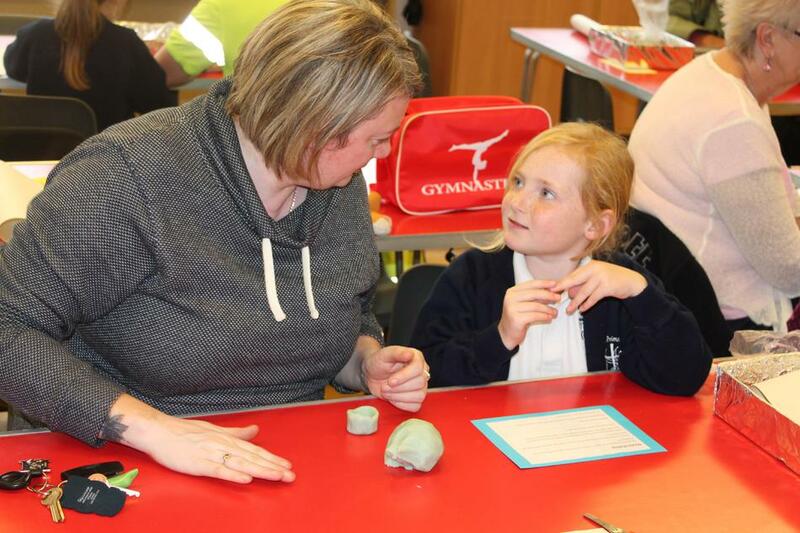 The feedback from children and family members was very positive and there was a 95% attendance from families across all the weeks. 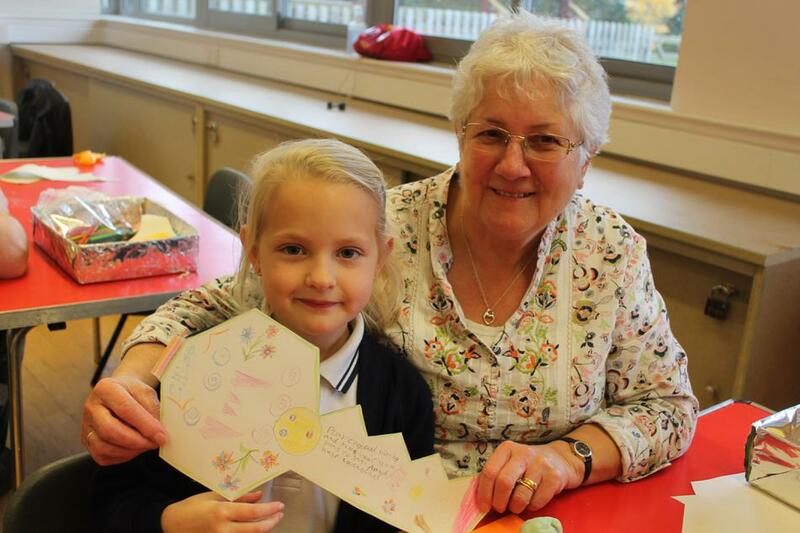 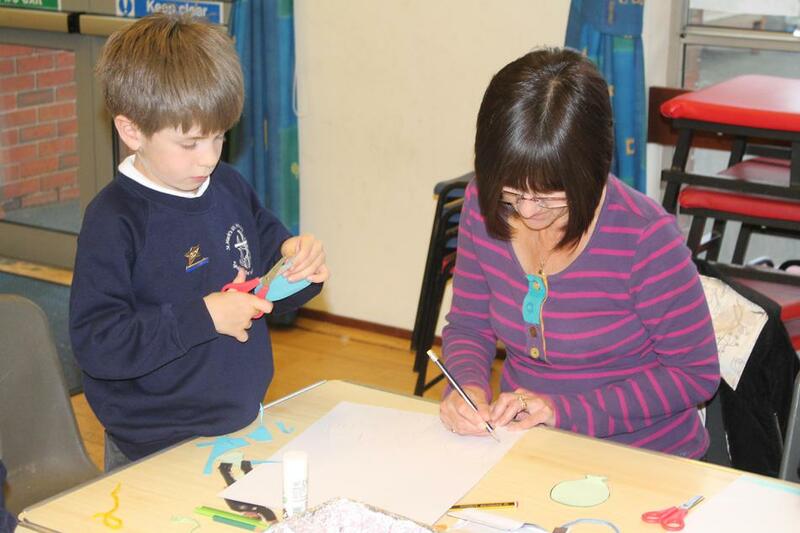 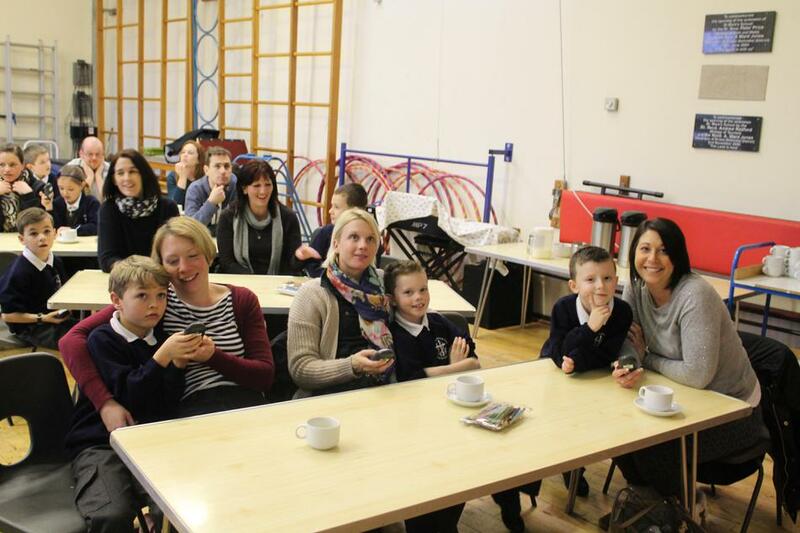 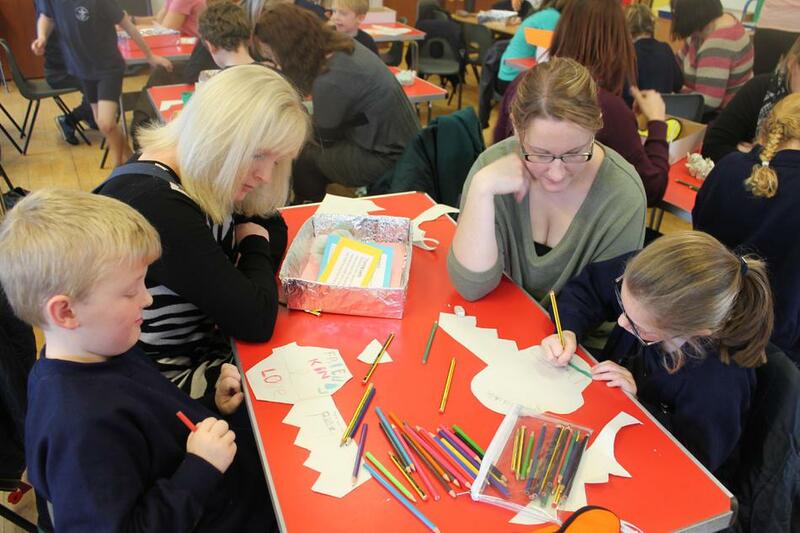 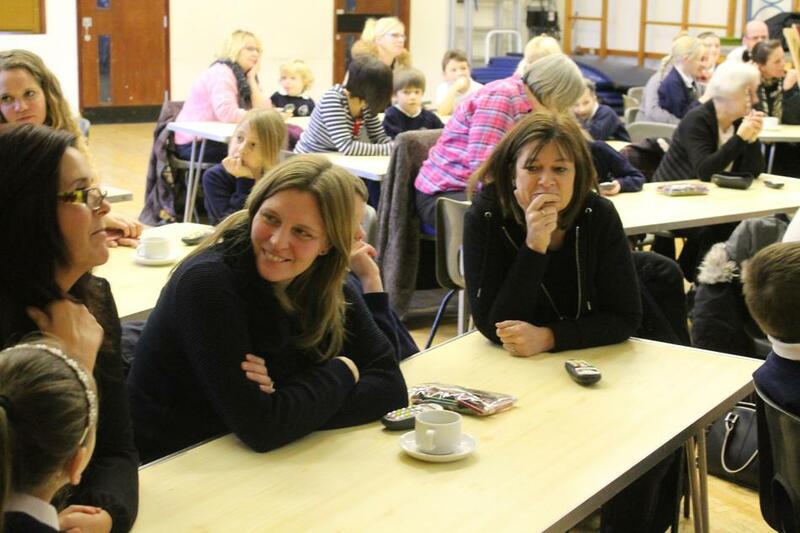 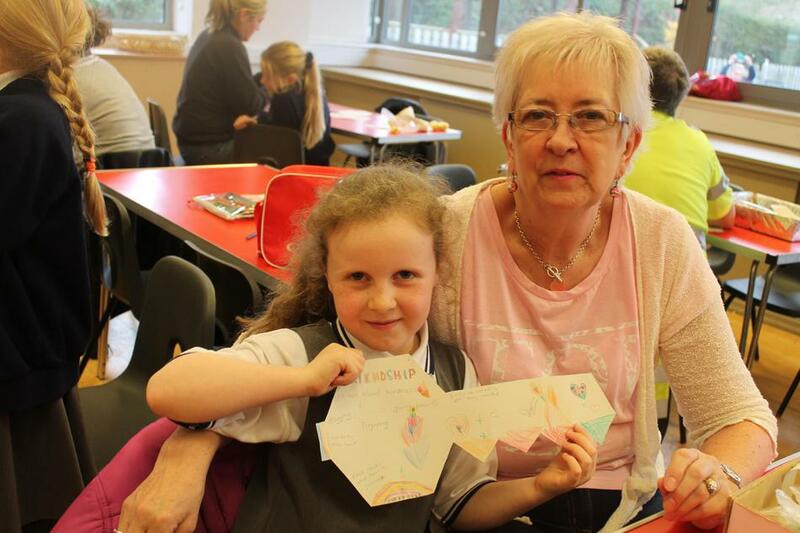 Grandparents / parents / family friends all participated in a workshop to encourage kind friendships. 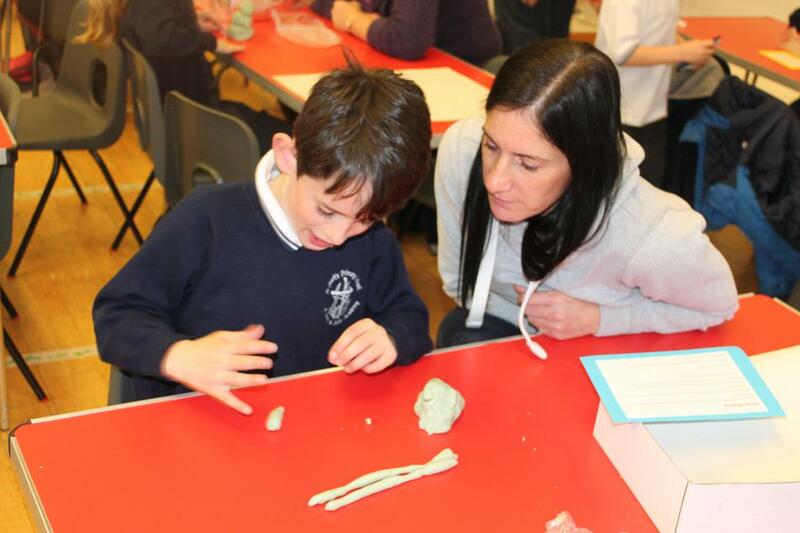 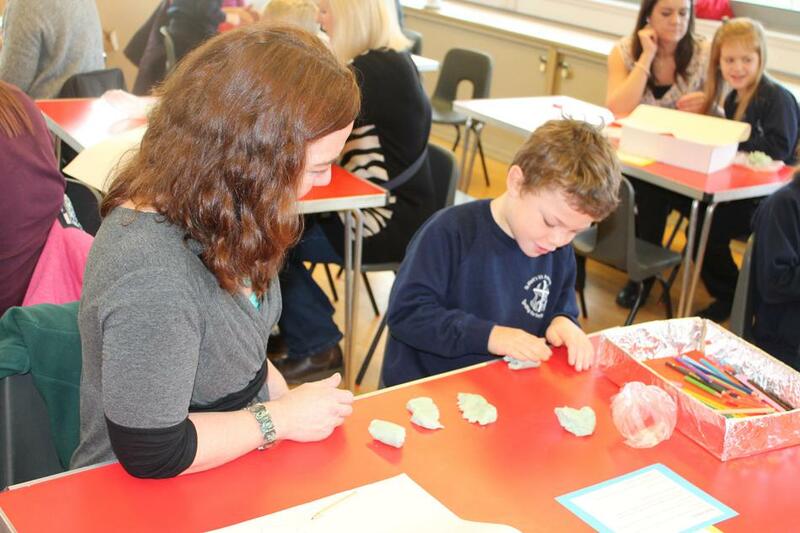 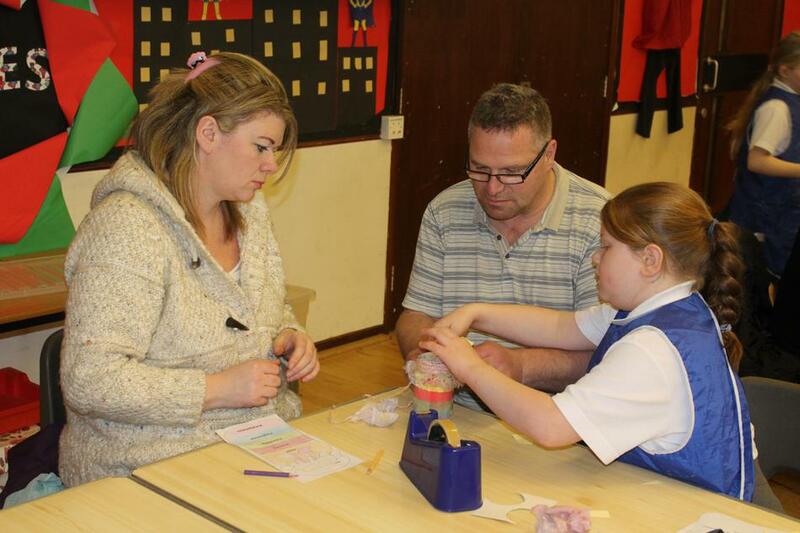 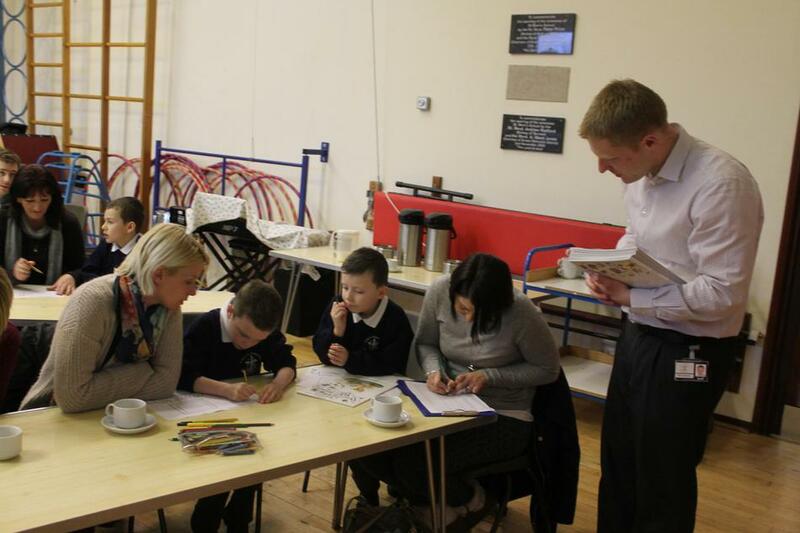 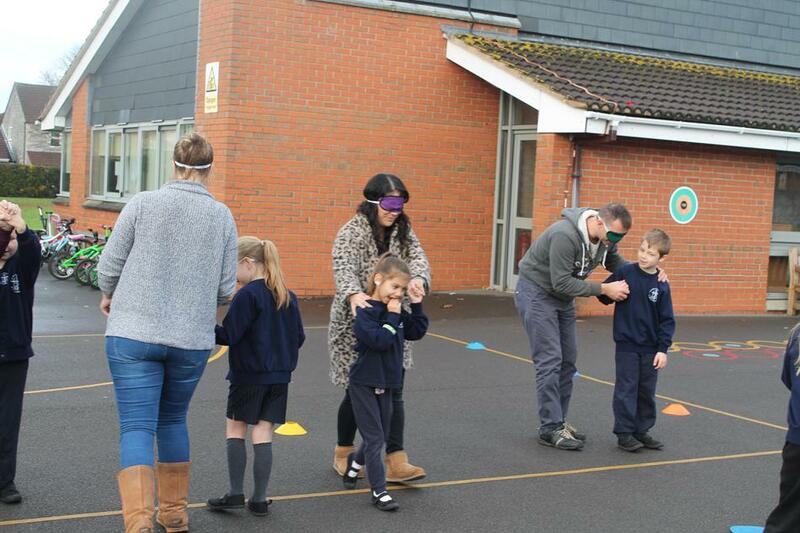 The adults and children paired up to complete activities where they had to communicate well with each other. 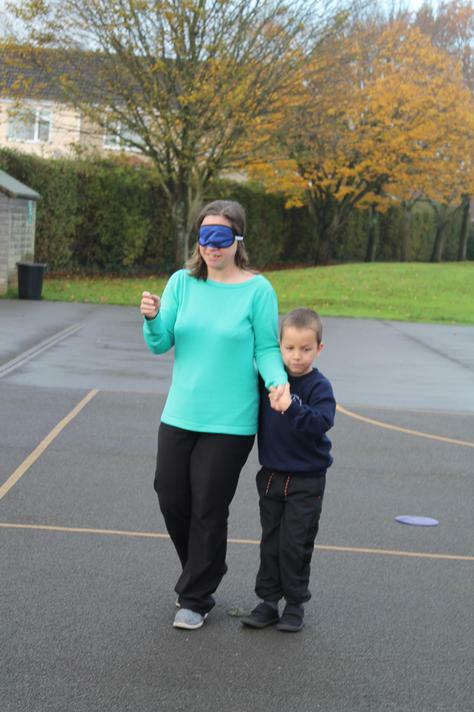 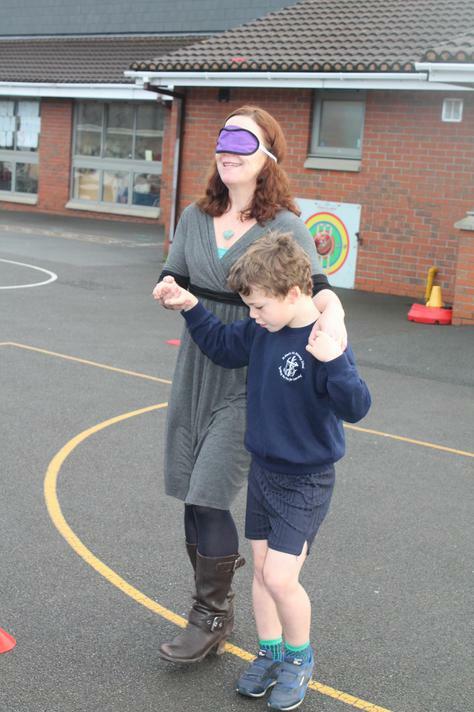 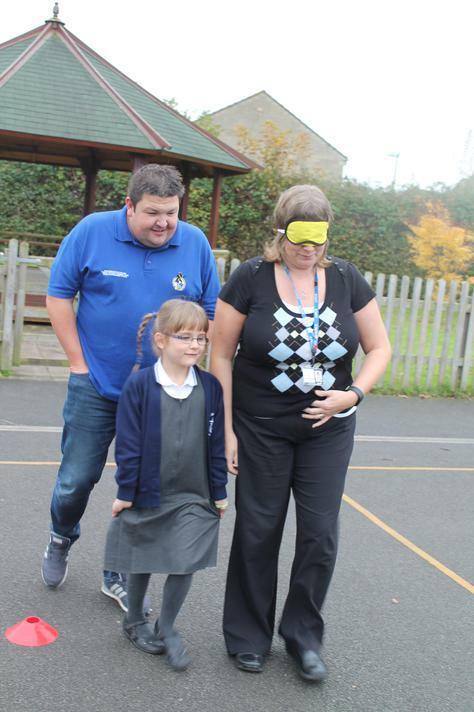 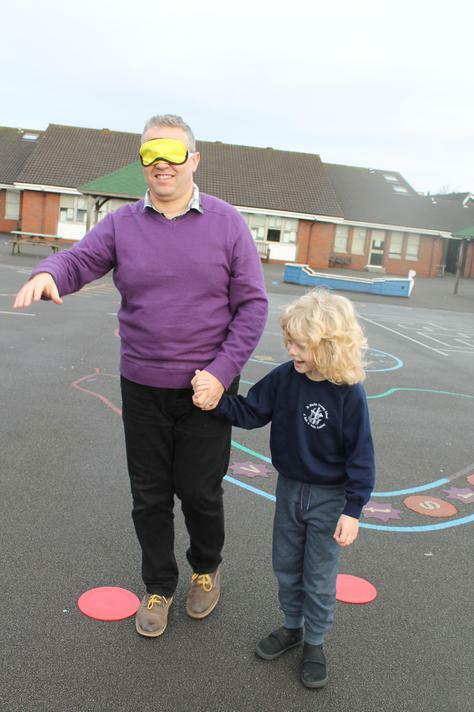 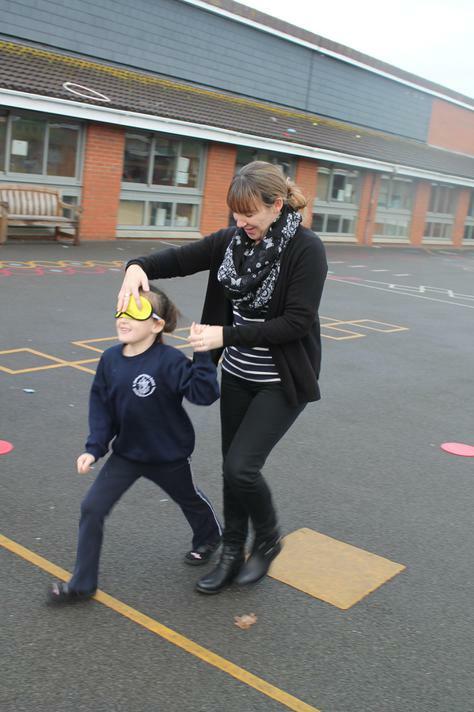 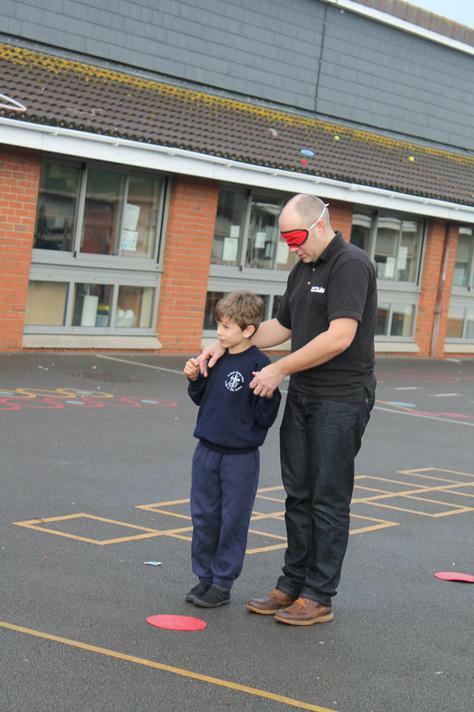 These included a blindfolded trust walk around a coned playground, modelling of a secret shape to develop listening and explaining skills, and creating a paper key on which they wrote ideas of positive friendship qualities to promote the key ingredients to a successful friendship. 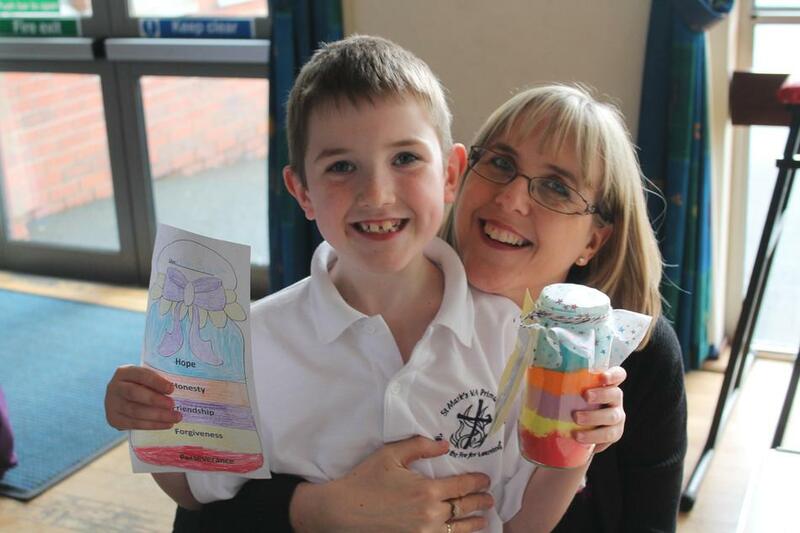 Each class held a separate Service which parents were invited to. 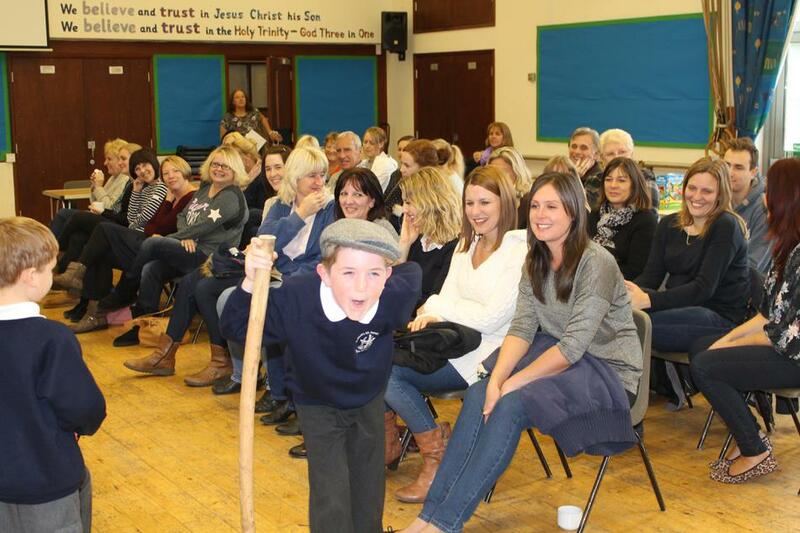 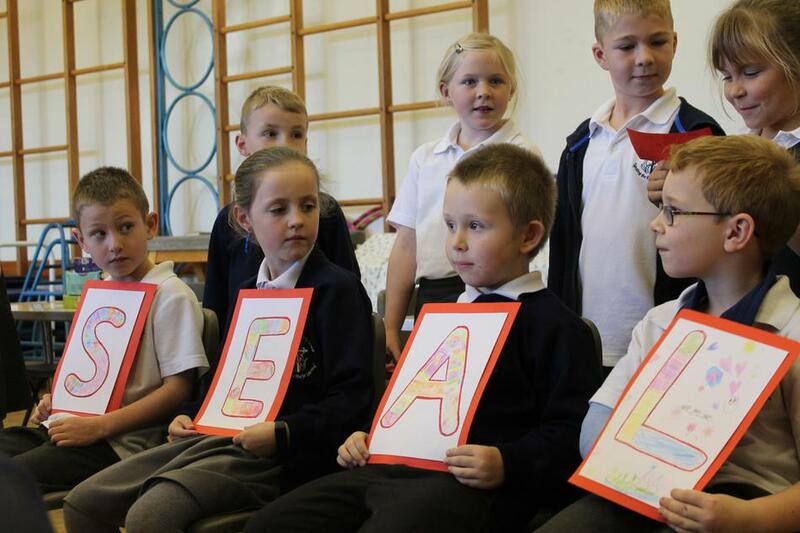 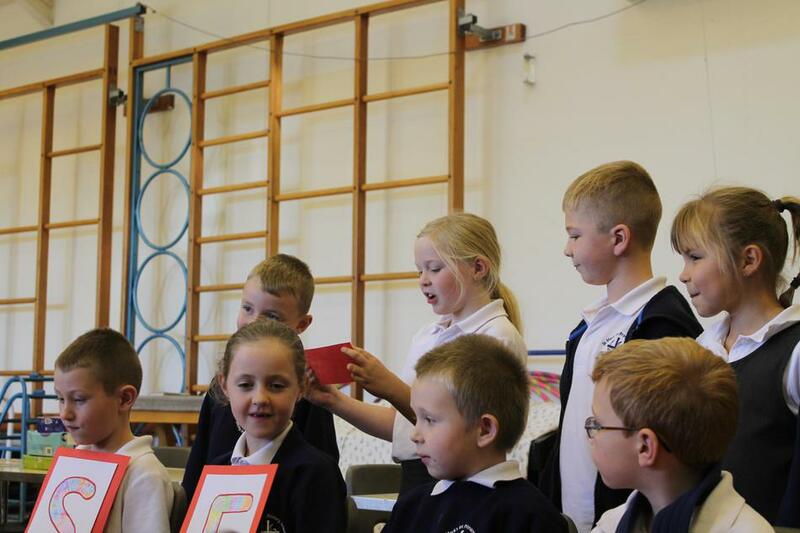 Every pupil took part, either as a reader, letter holder or actor. 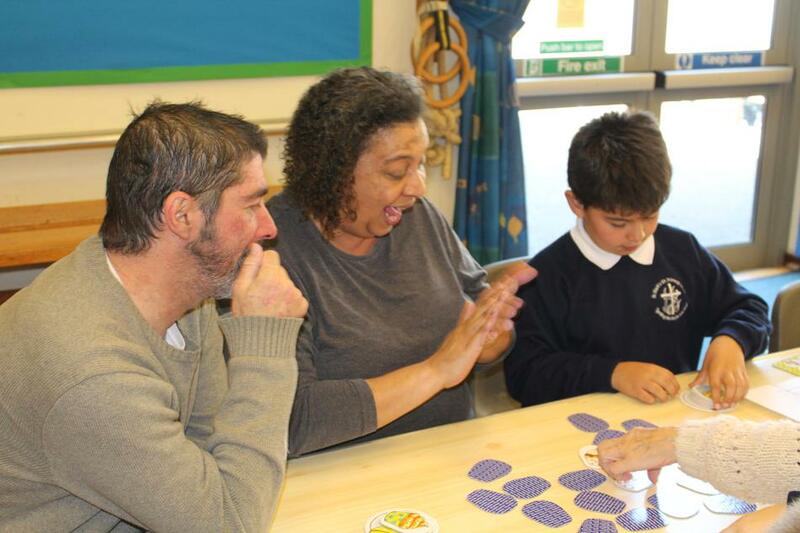 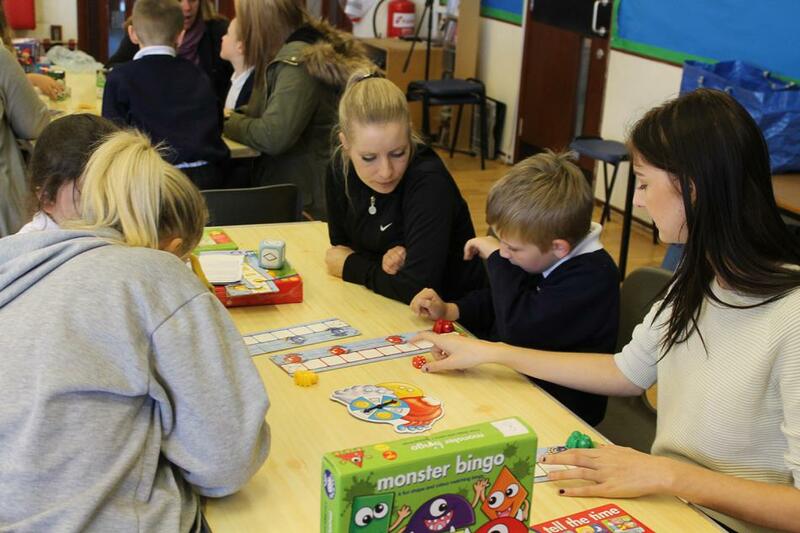 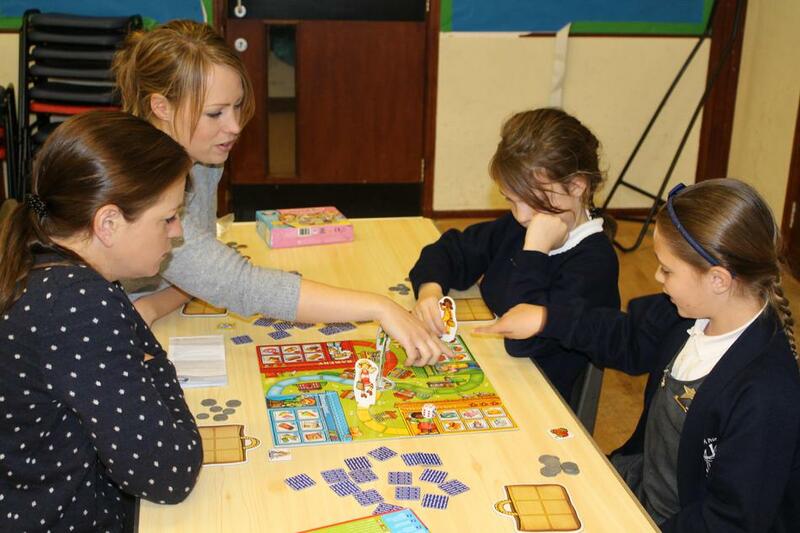 The children explained all the details about the Family SEAL programme and that is stands for ‘Social and Emotional Aspects of Learning.’ Families then had some fun playing board games. 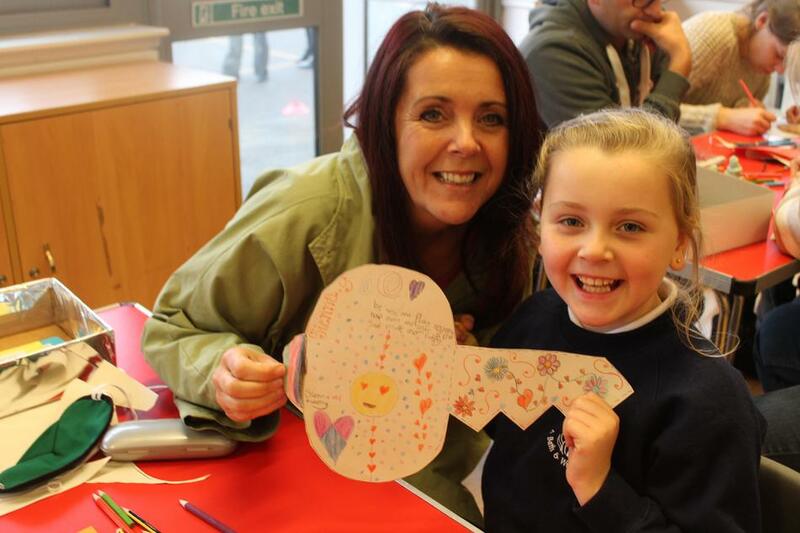 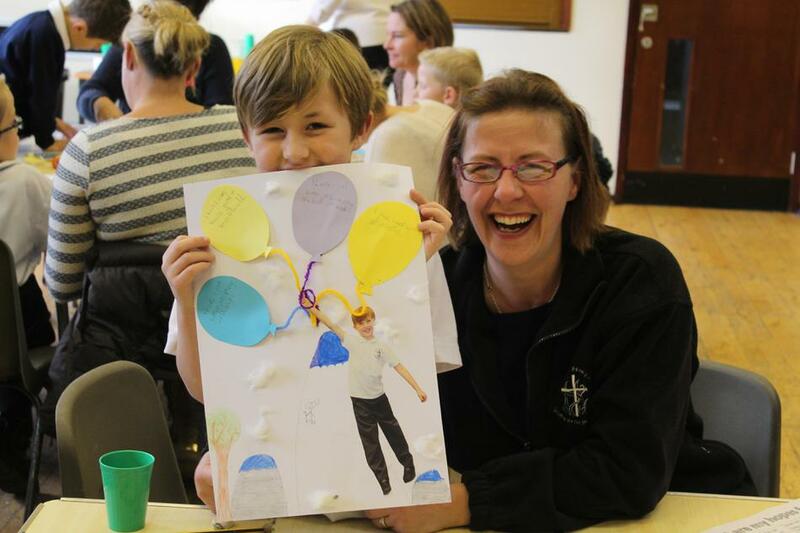 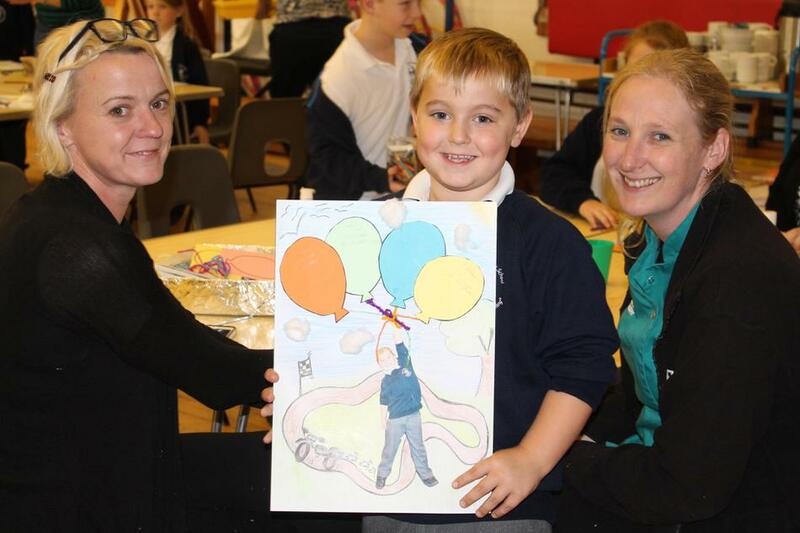 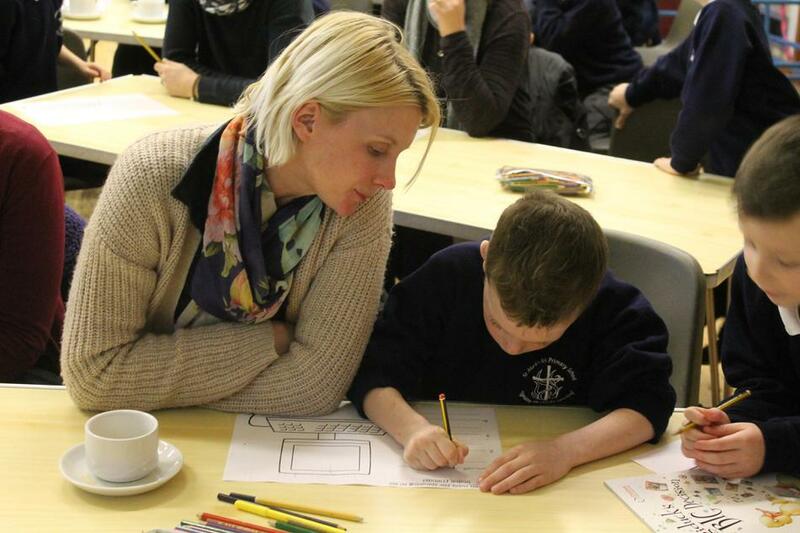 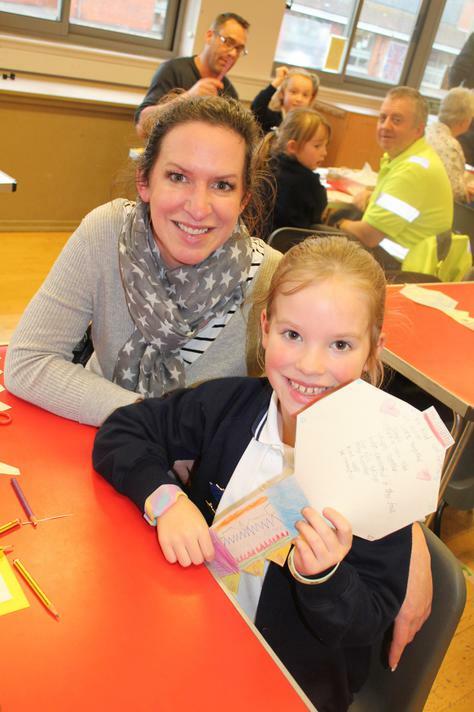 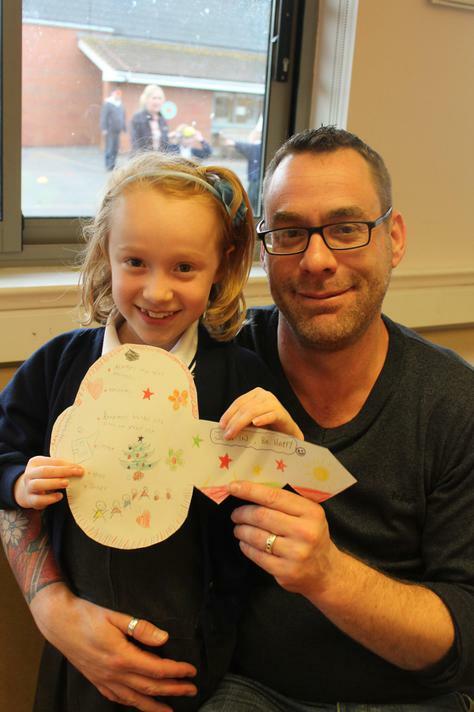 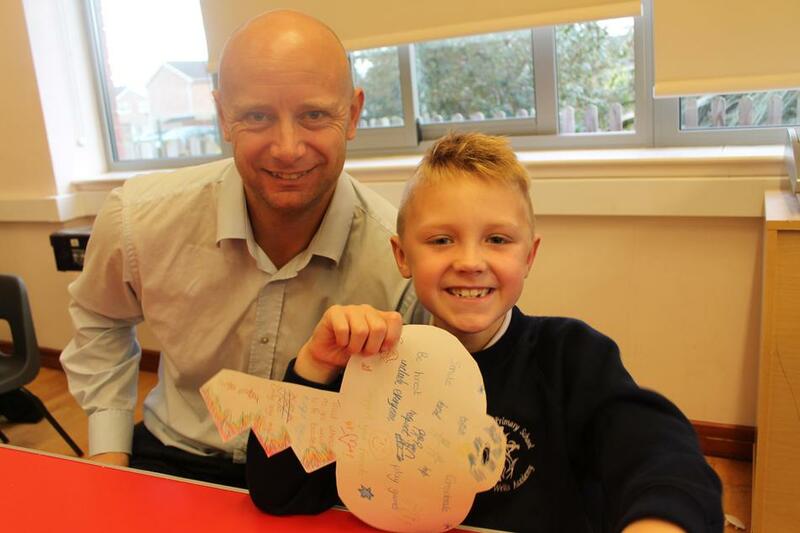 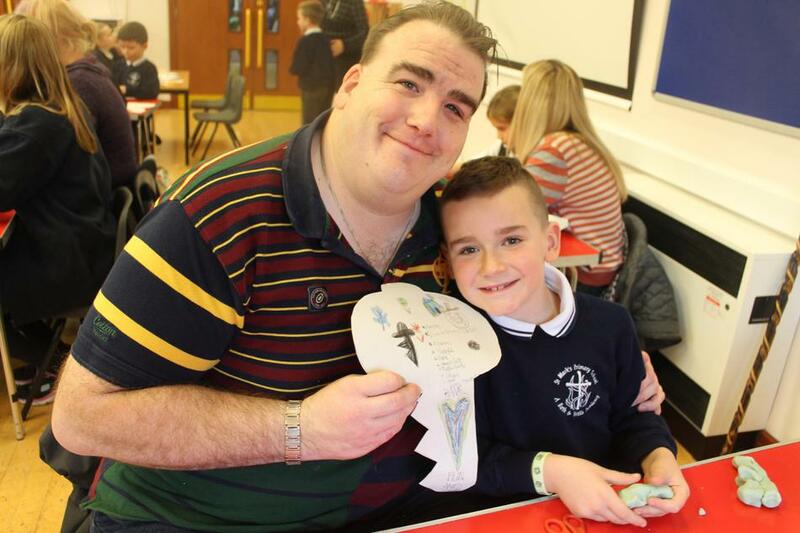 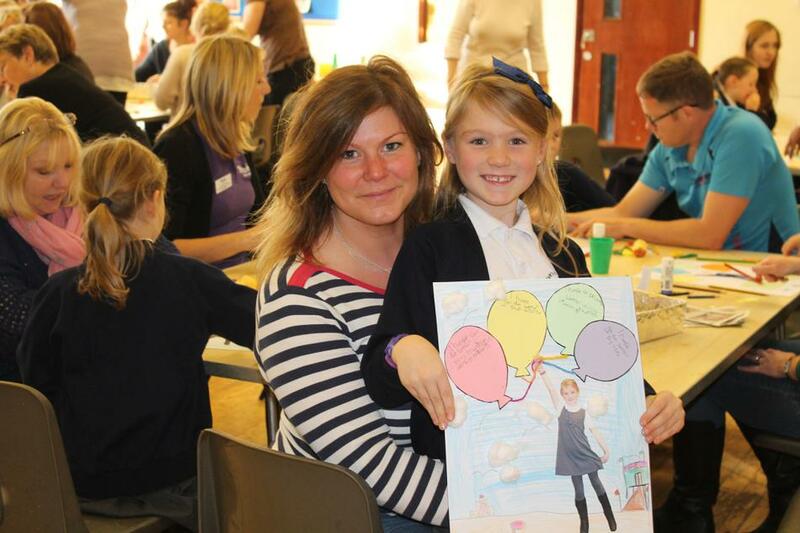 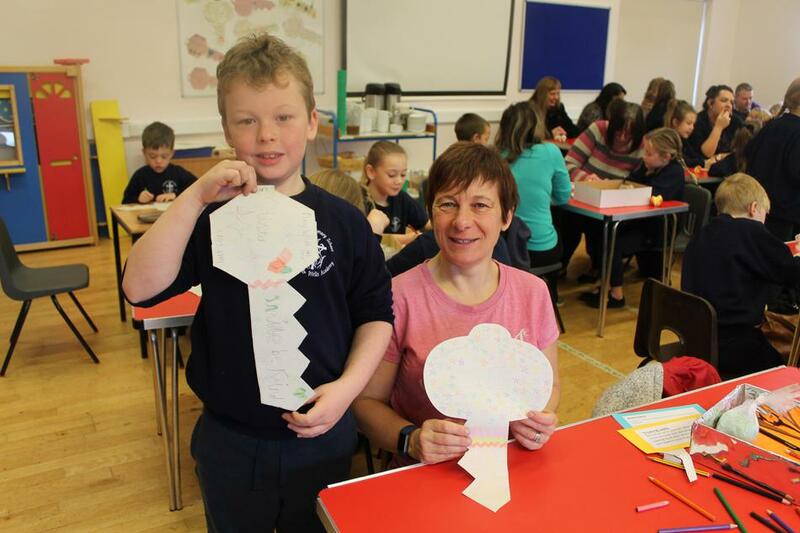 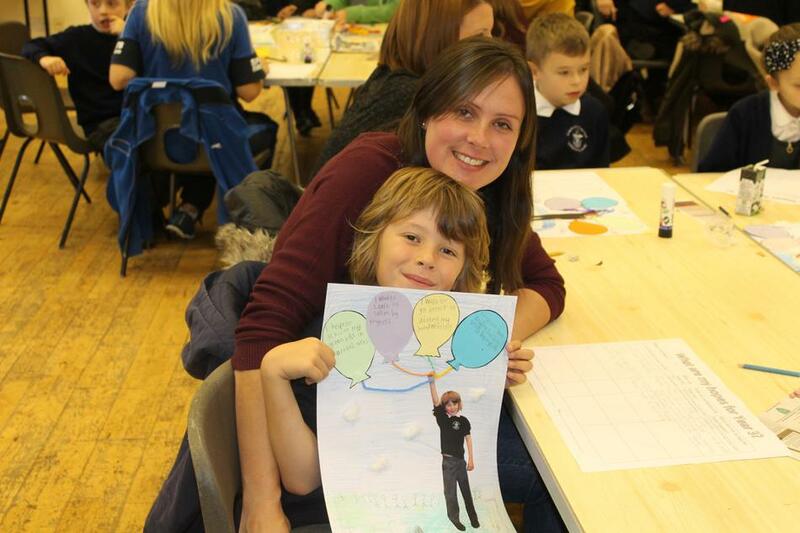 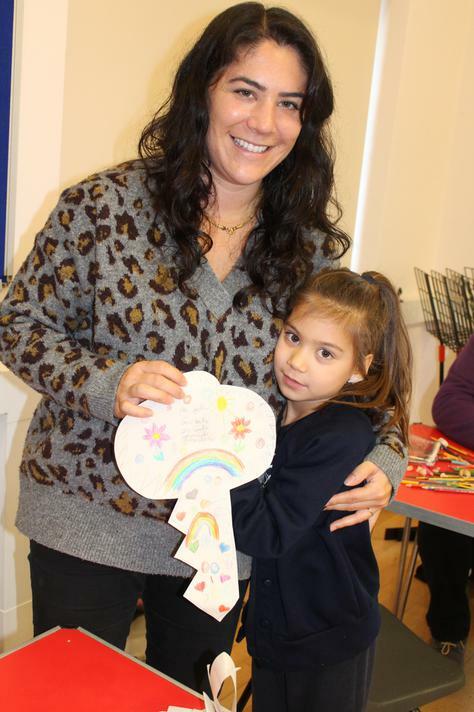 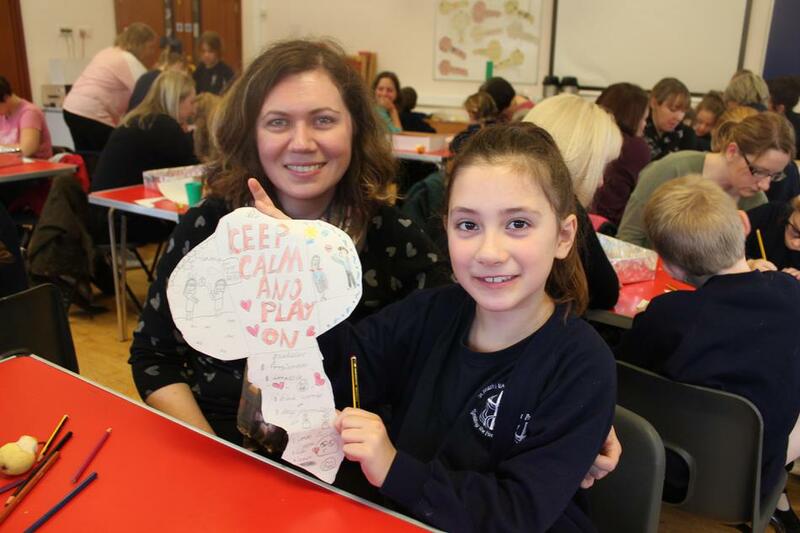 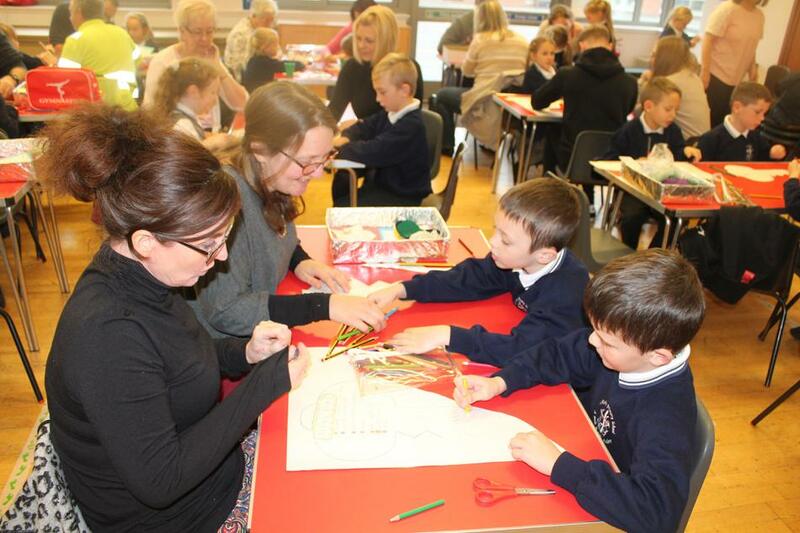 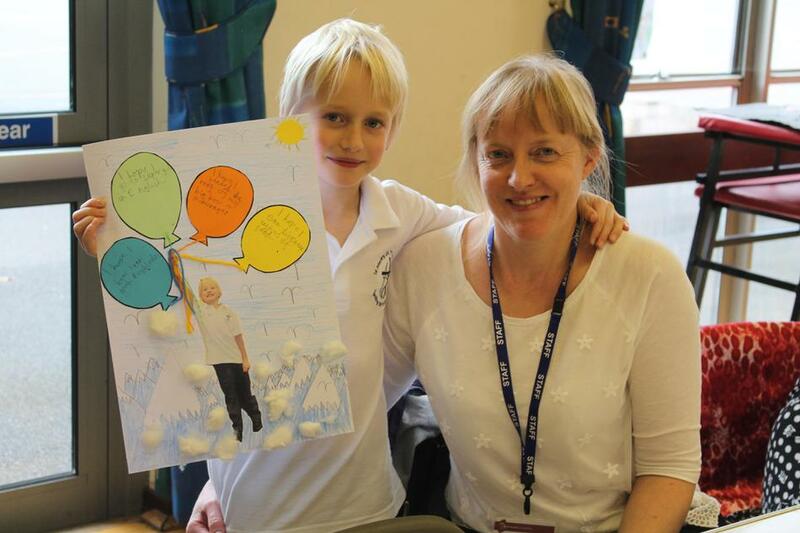 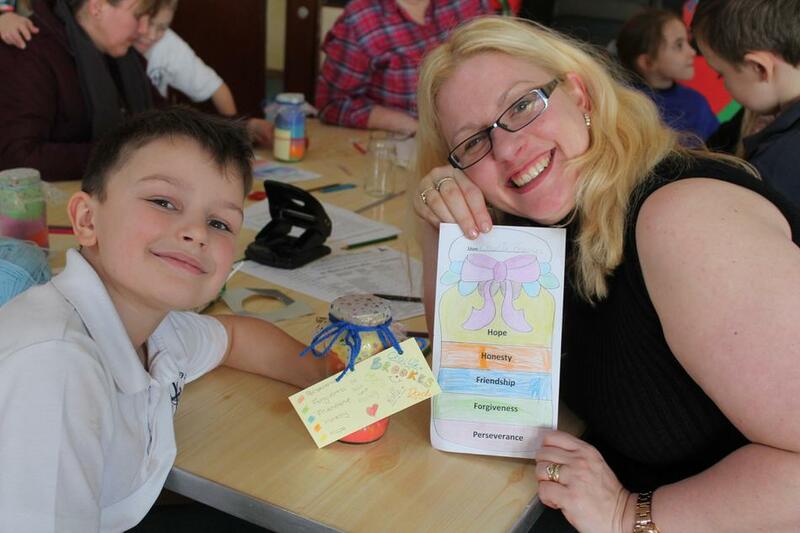 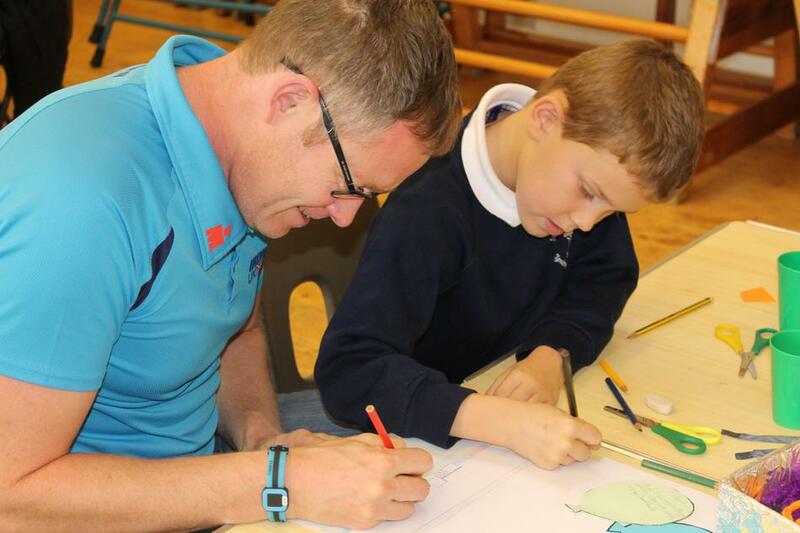 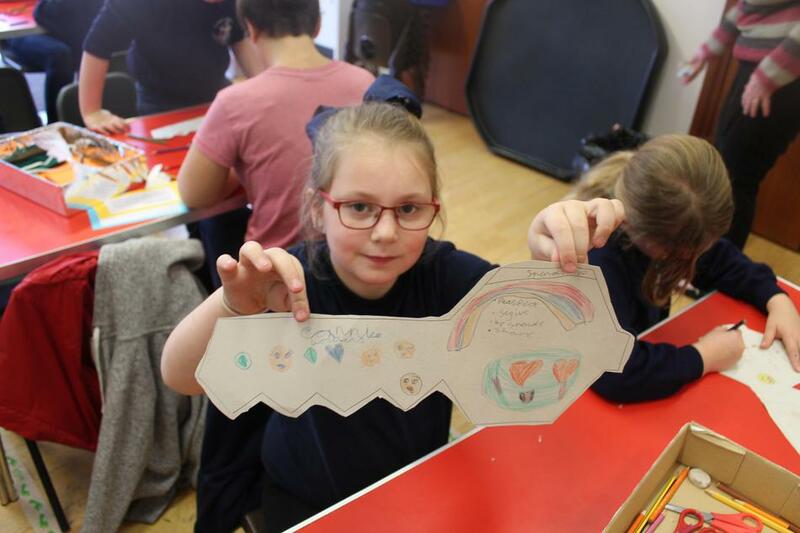 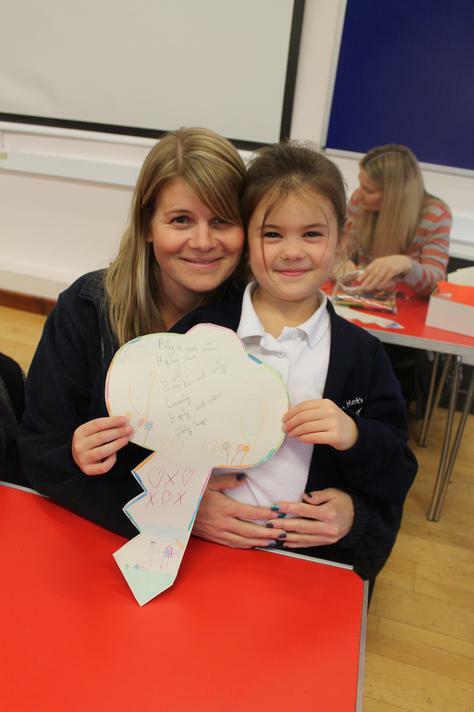 The families helped to create posters of personal ‘Hopes’ that pupils could aspire to reach by the end of Year 3, including home and school ideas. 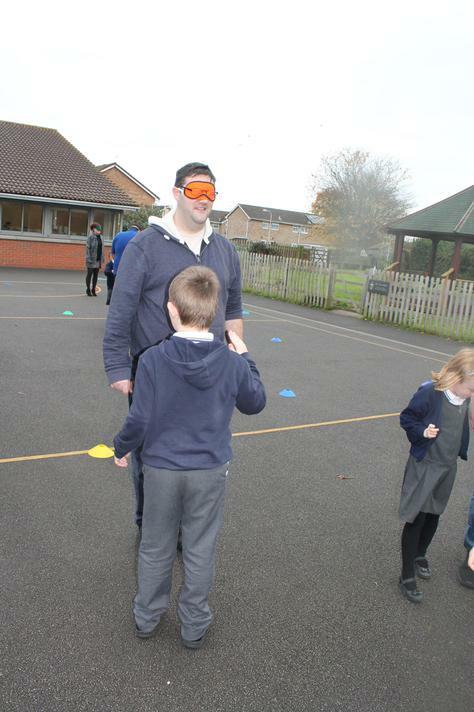 This was to help increase their understanding of inspiring to reach goals and how others and themselves can help work towards them. 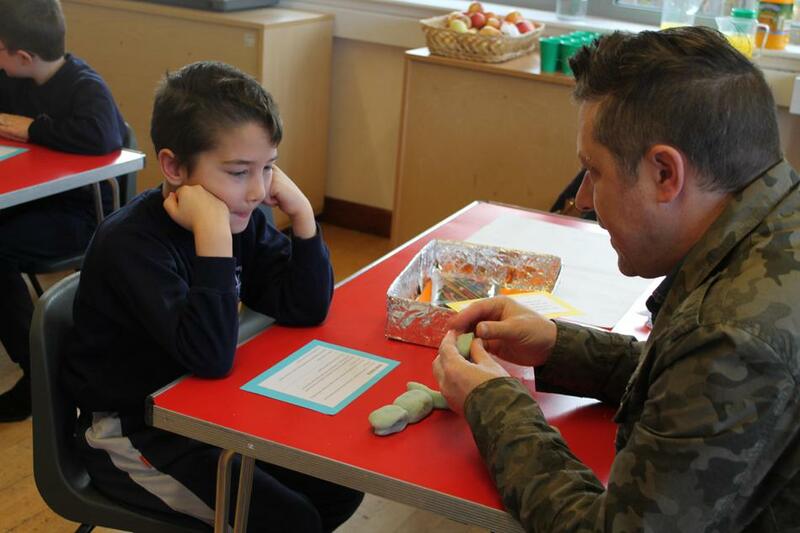 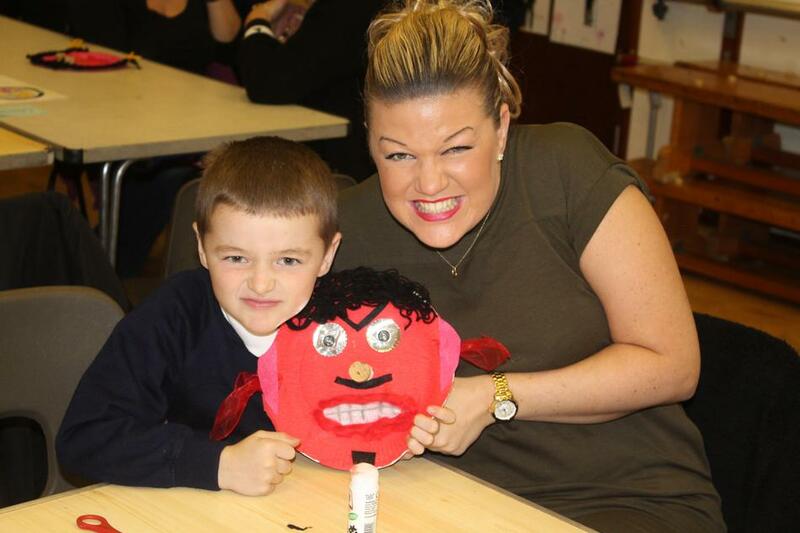 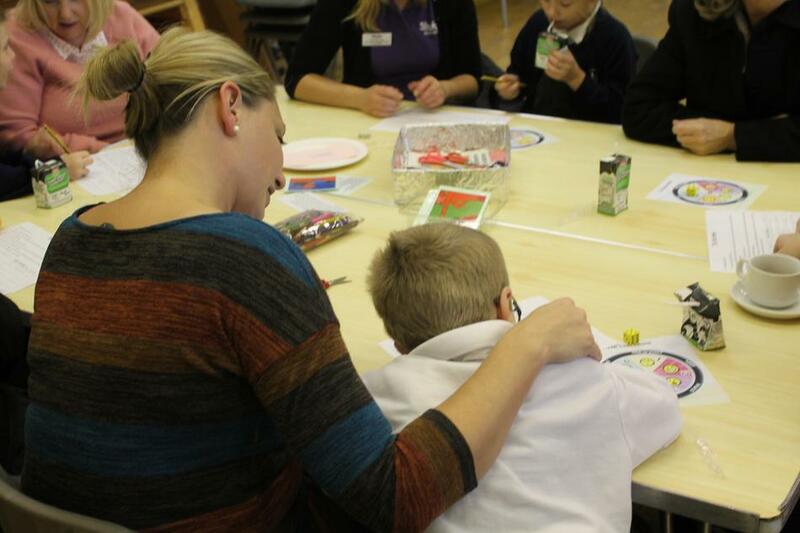 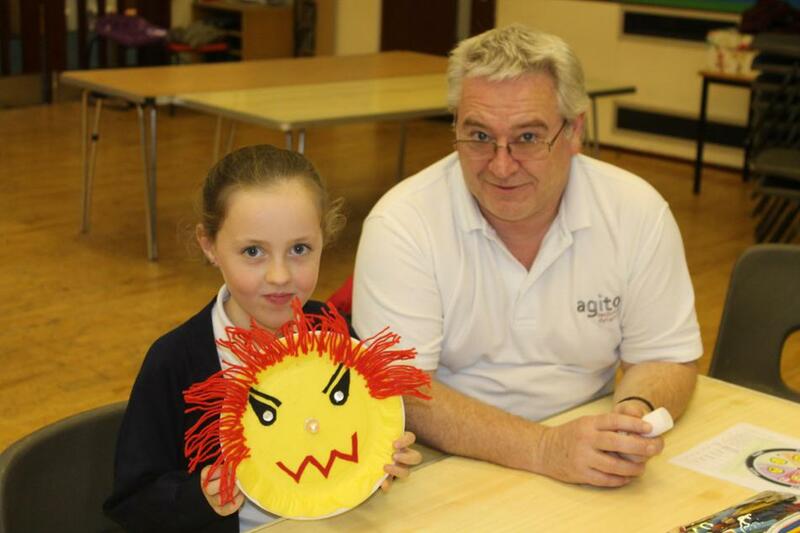 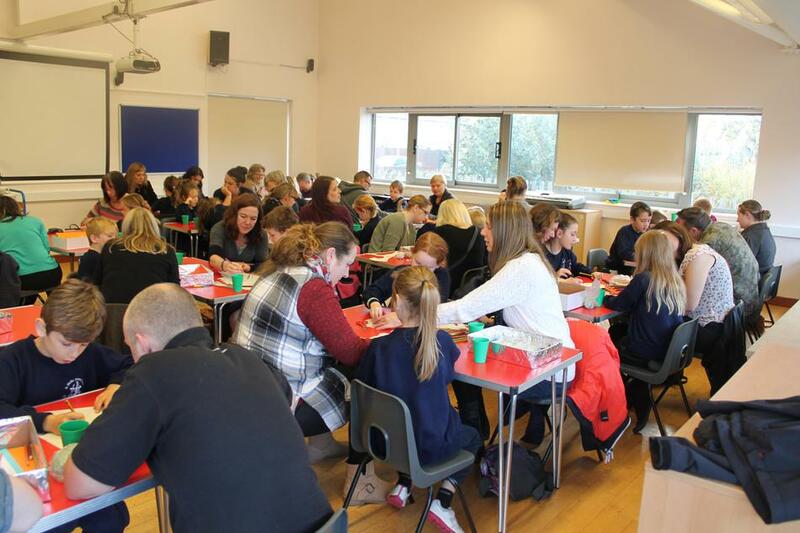 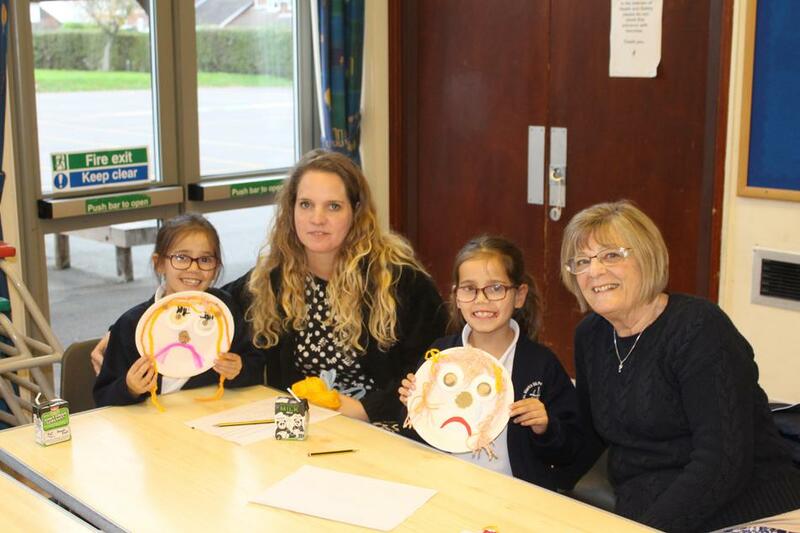 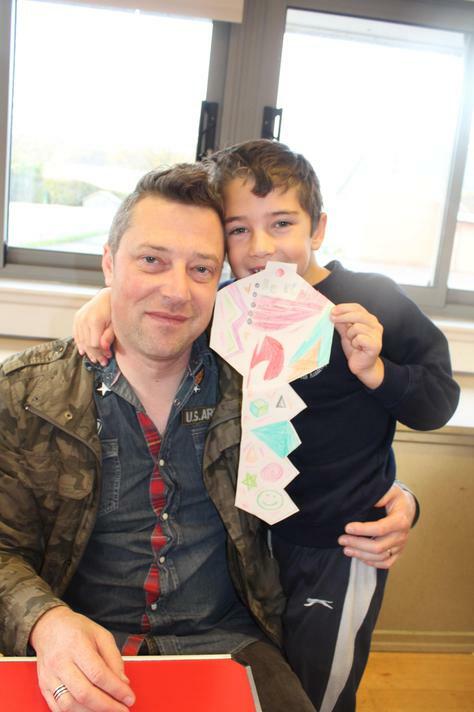 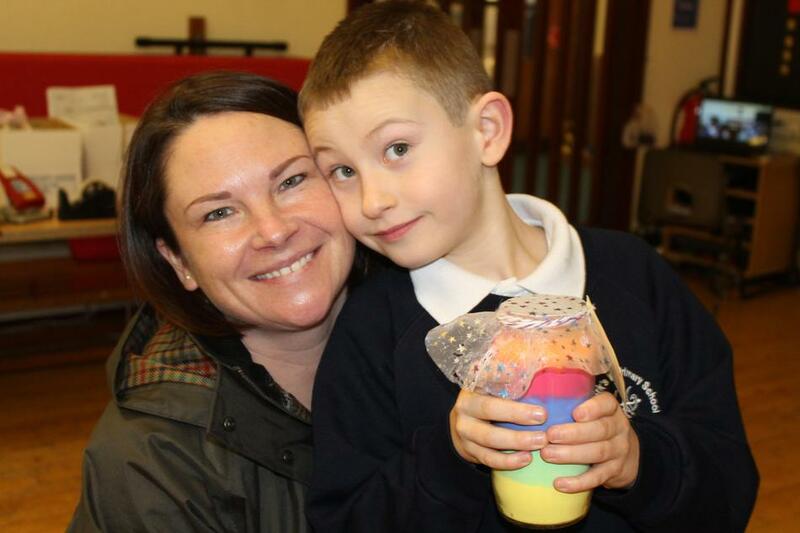 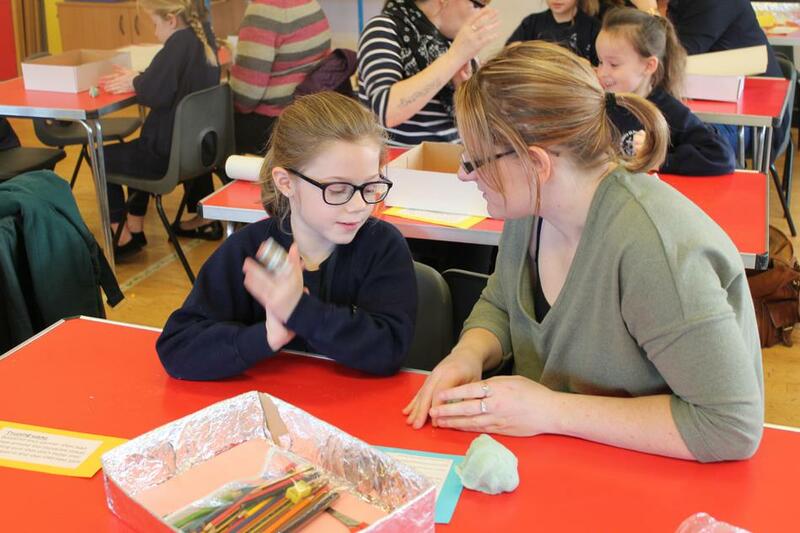 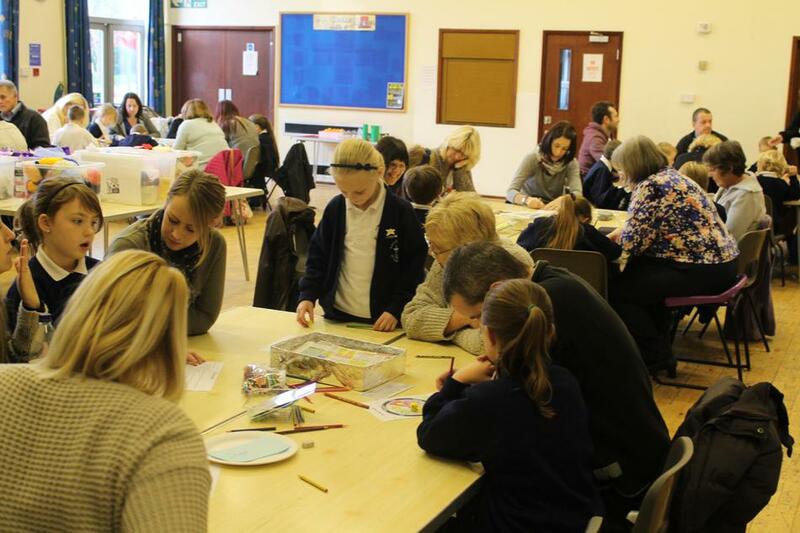 Families each played a spinning game of identifying feelings and relating them to real life situations, helping the children to see that everyone has a range of emotions and the best ways of managing them. 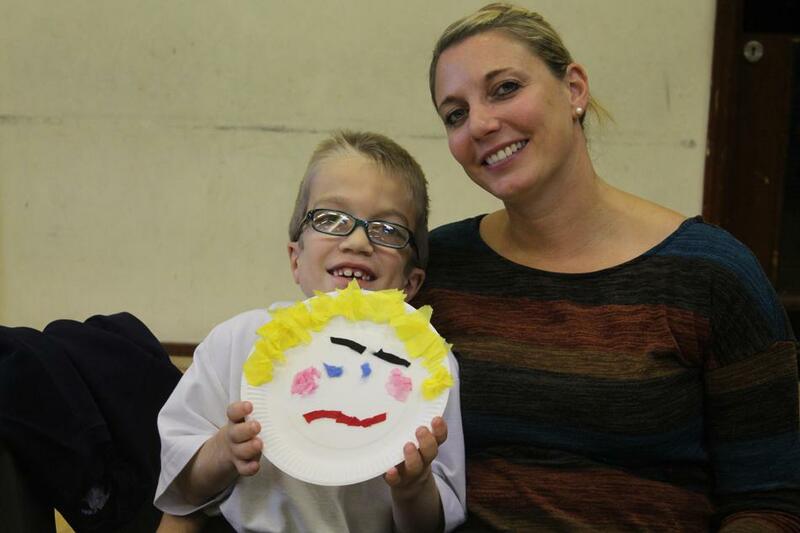 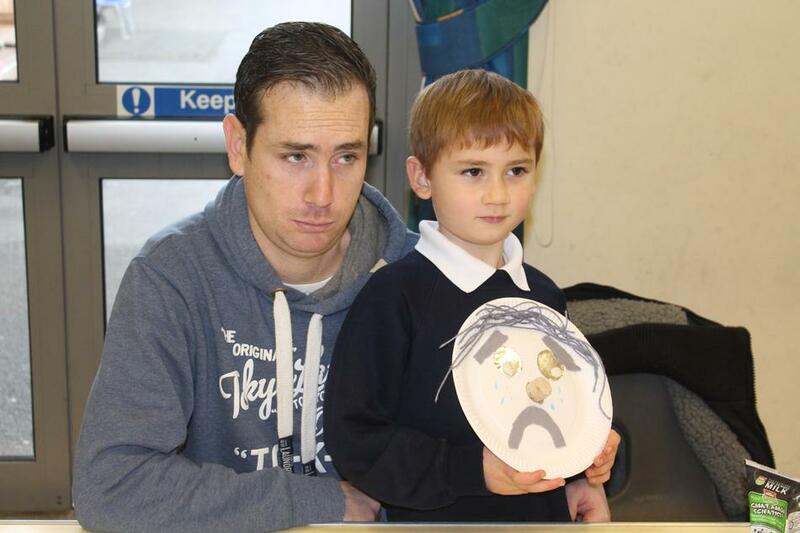 Each family then created a paper plate face of a different emotion. 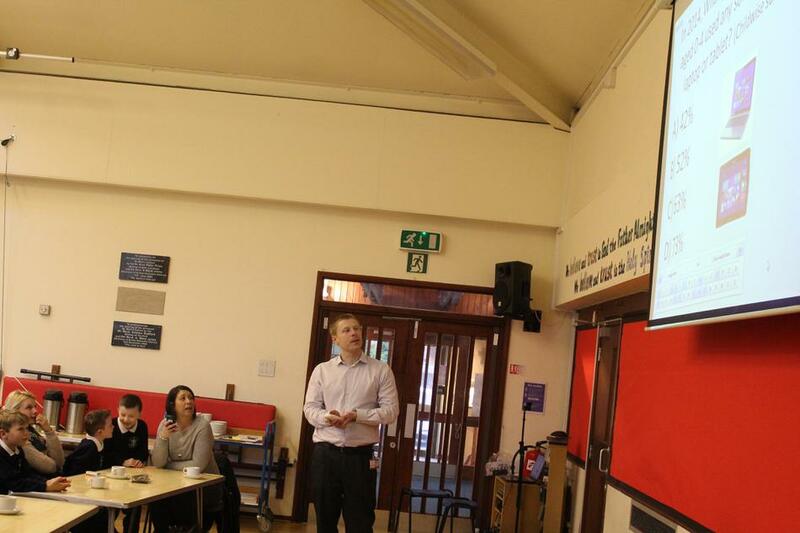 Mr Shephard held an Internet Safety Quiz. 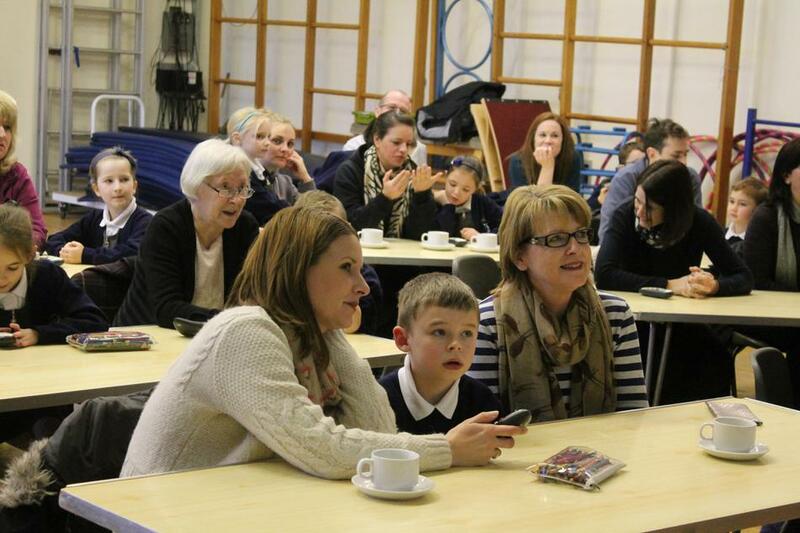 The families used the electronic voters to answer his quiz questions and learn some interesting facts. 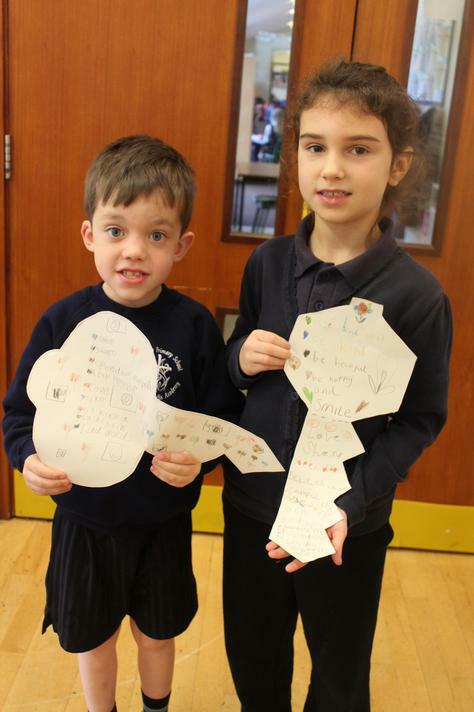 We discussed how to maintain online friendships in a positive, safe manner. 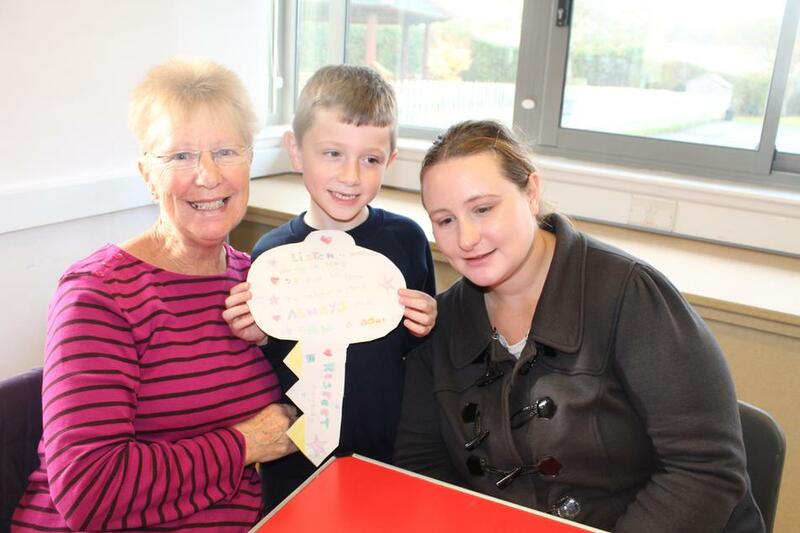 The children discussed some home rules with their family members to remind them of the E-Safety guidelines, when they are online with their friends. 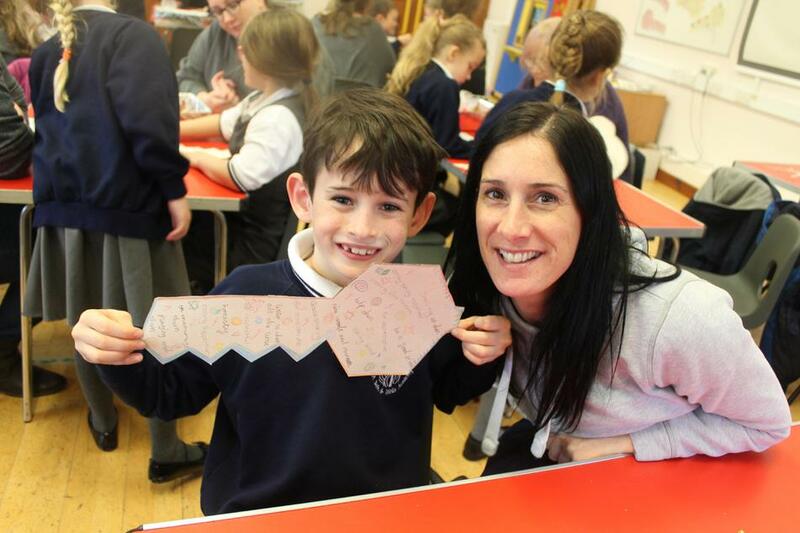 To increase children’s understanding of ‘Forgiveness’ we thought about when and how we learnt to say ‘Sorry’ as a young child and the different ways we could show it. 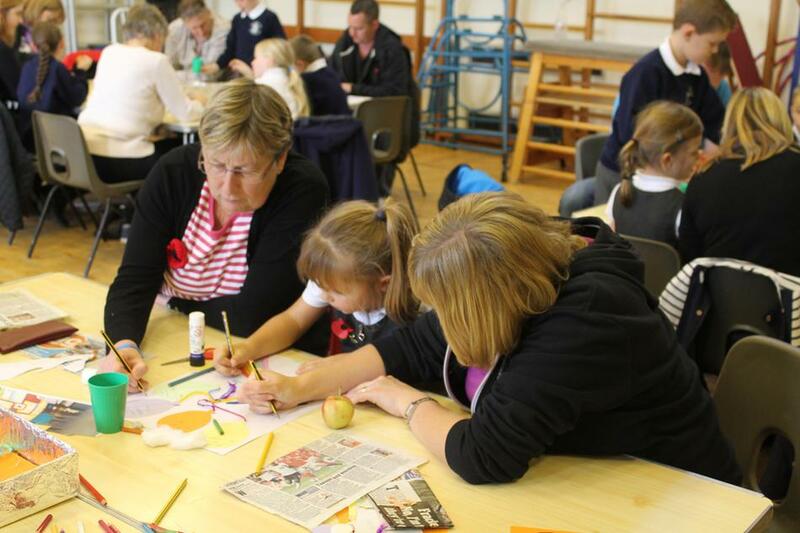 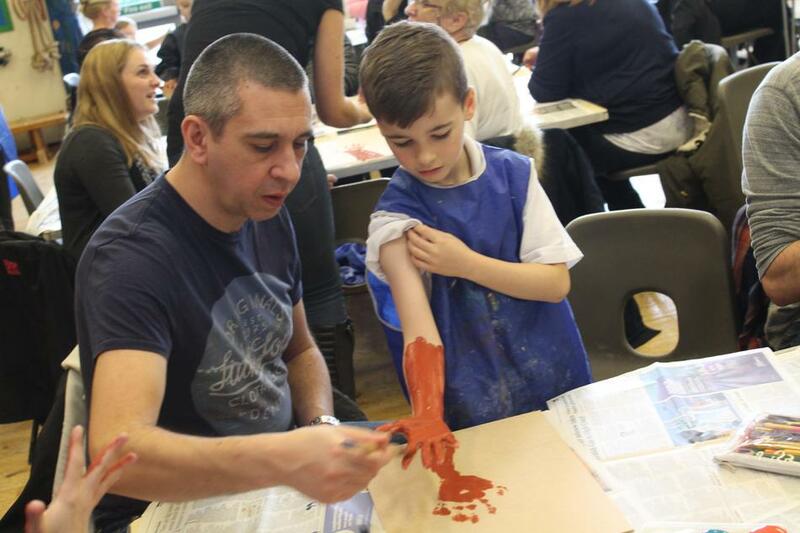 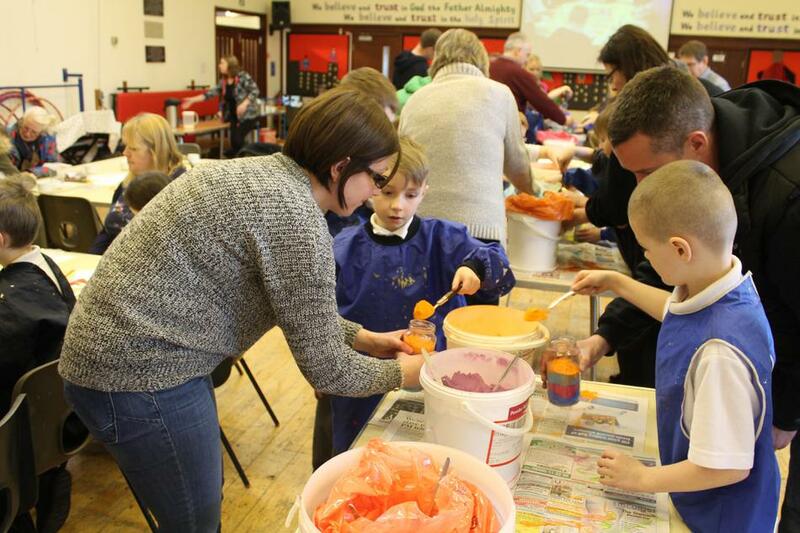 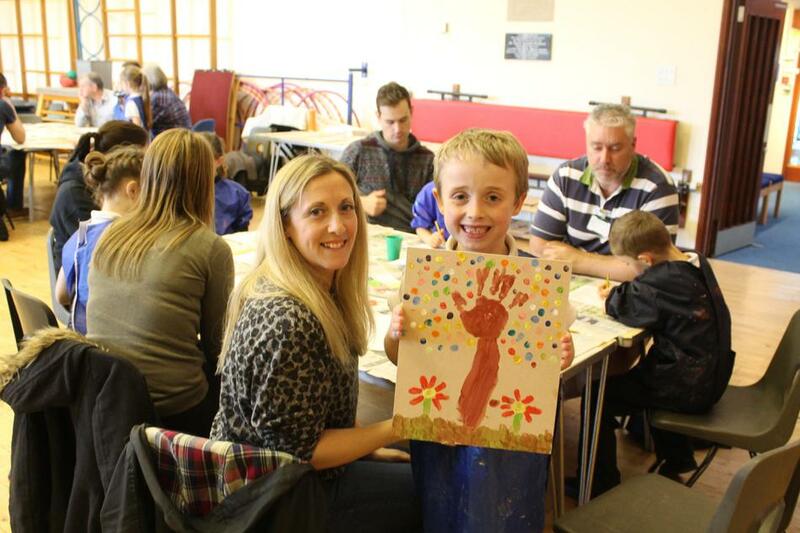 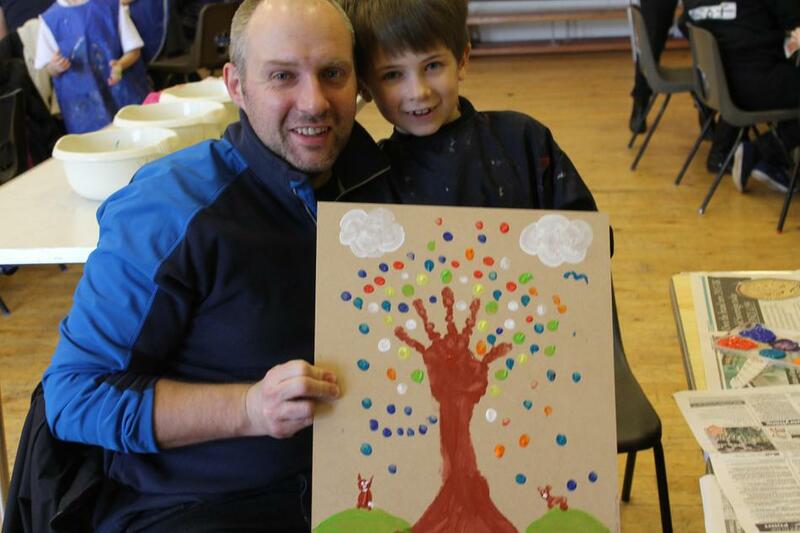 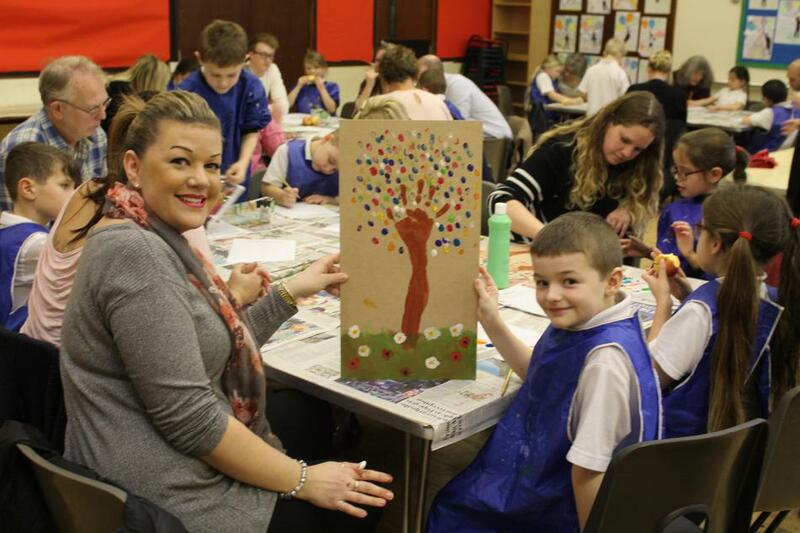 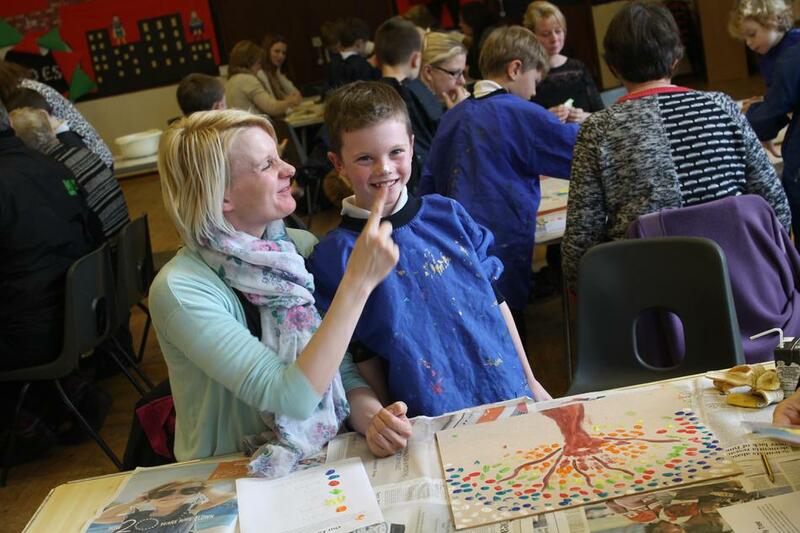 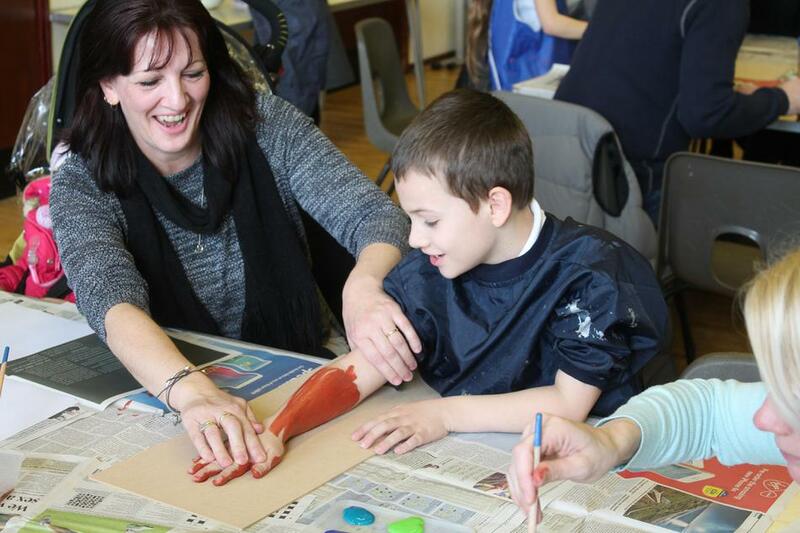 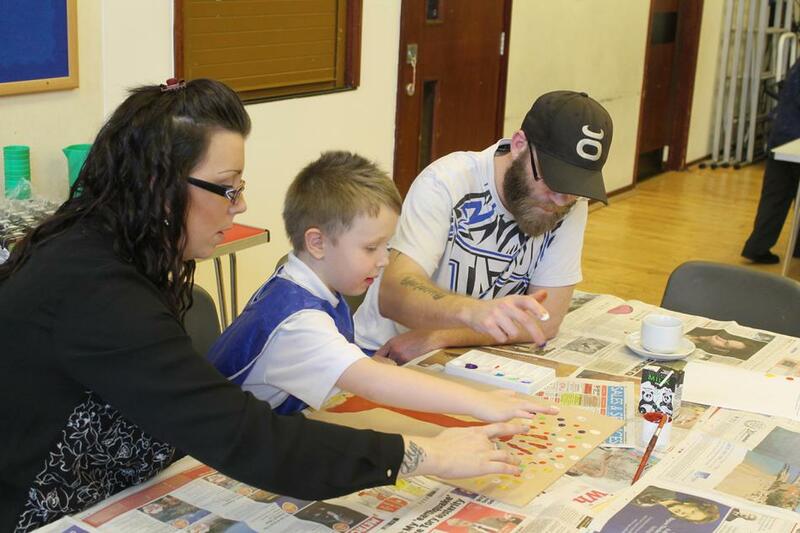 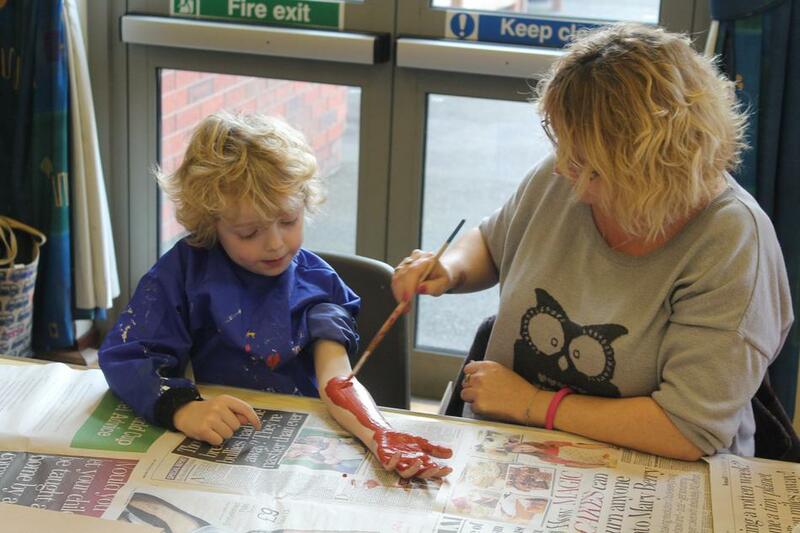 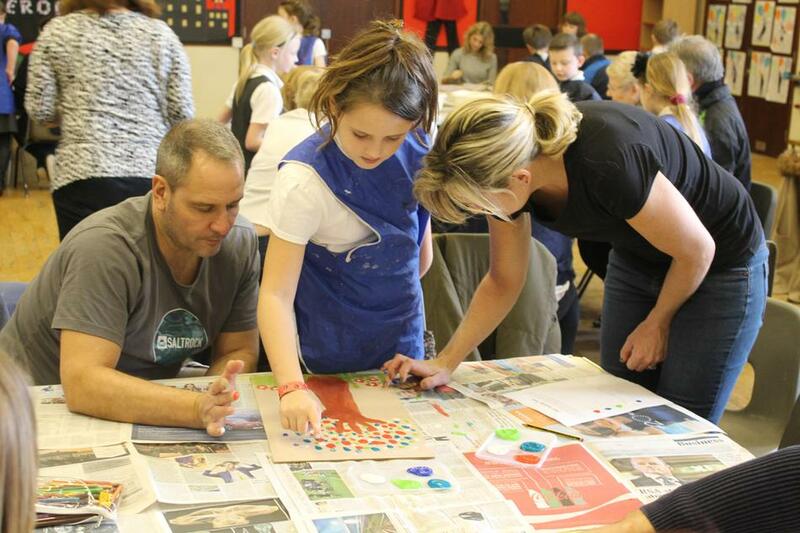 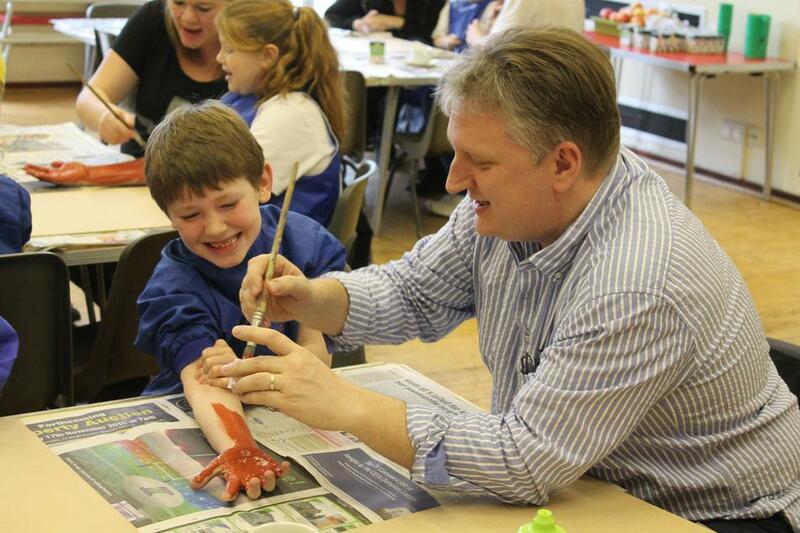 The families then painted a family tree picture, (using body parts!) 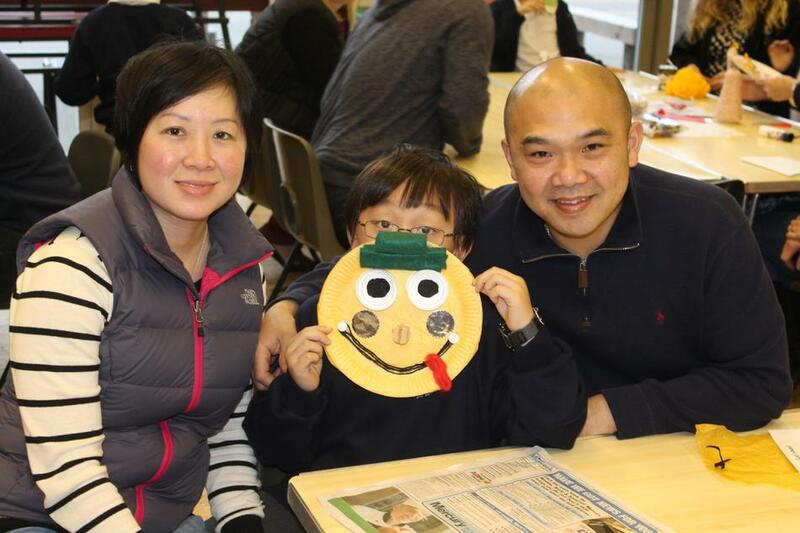 to represent the love and forgiveness that starts within the home and our families. 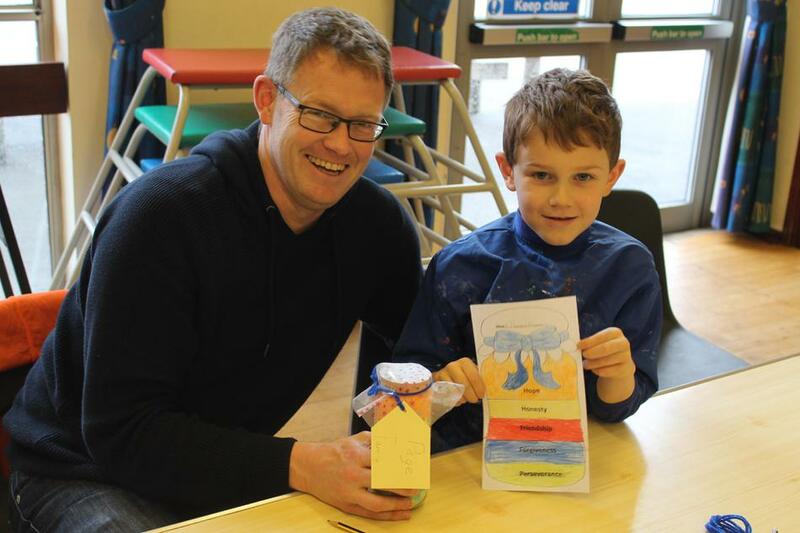 Colourful Value jars were filled and corresponding tags were decorated as a memory of each value to help reinforce how beneficial the Values are to every single person and their importance as life- long skills.